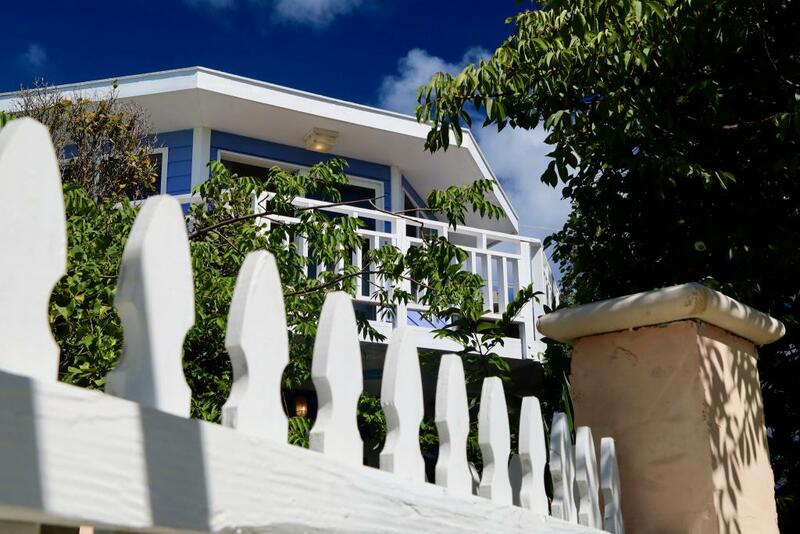 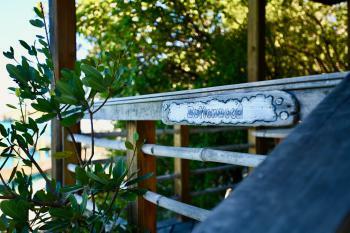 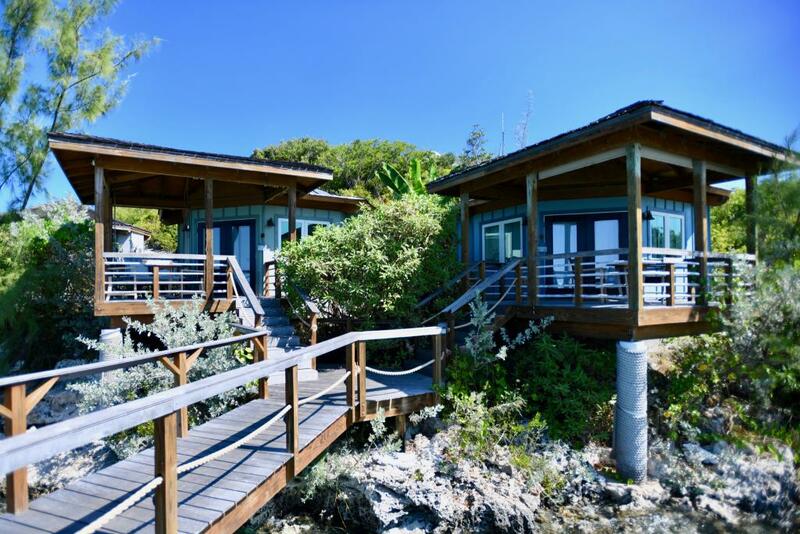 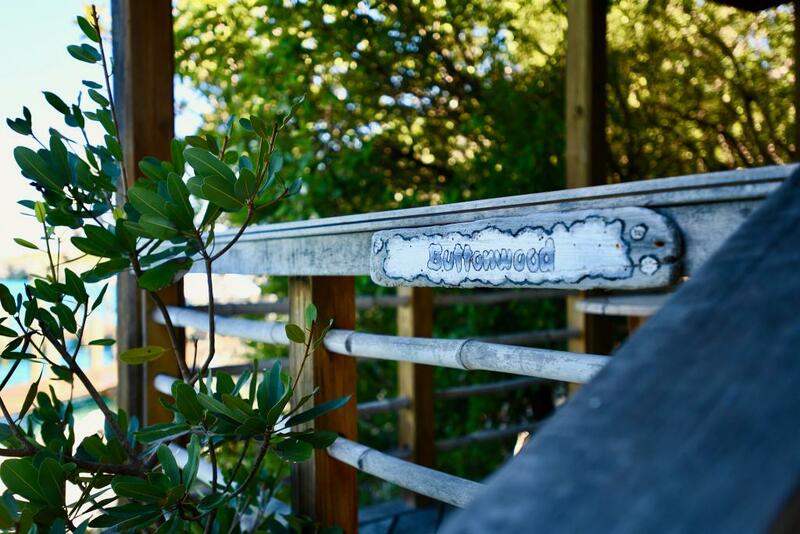 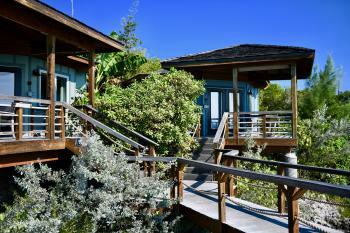 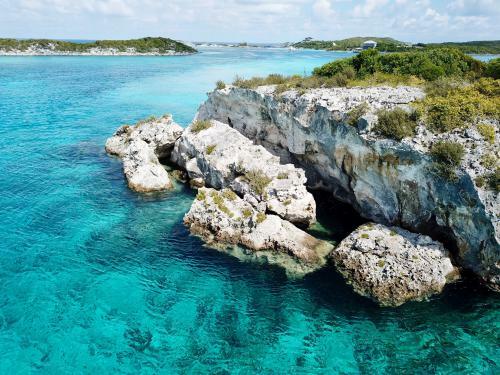 Experience the beauty and tranquility of the Exumas from your cozy bungalow perched just steps above the water! 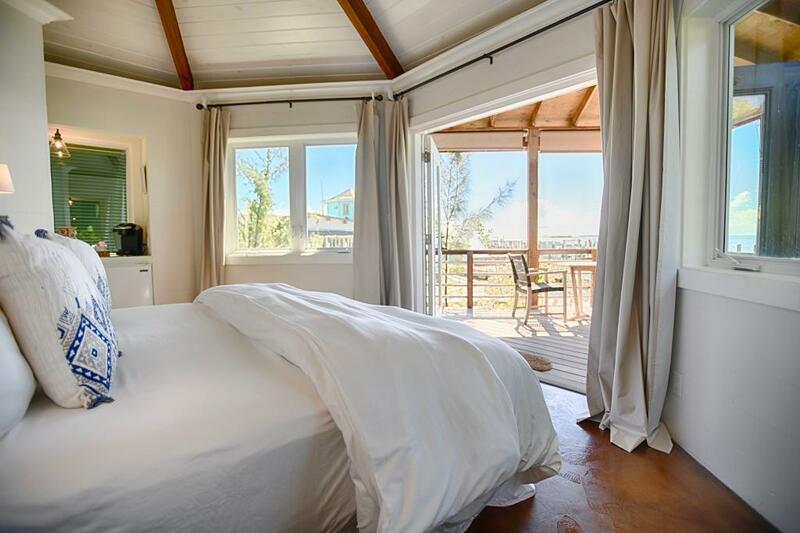 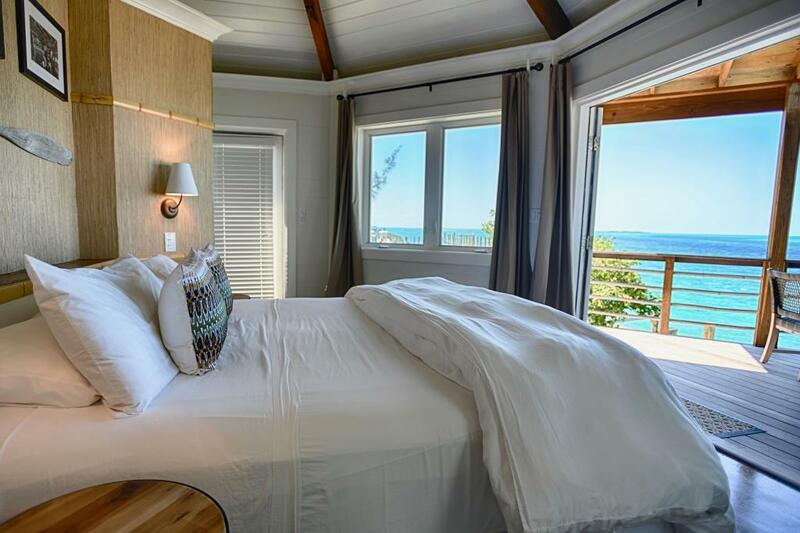 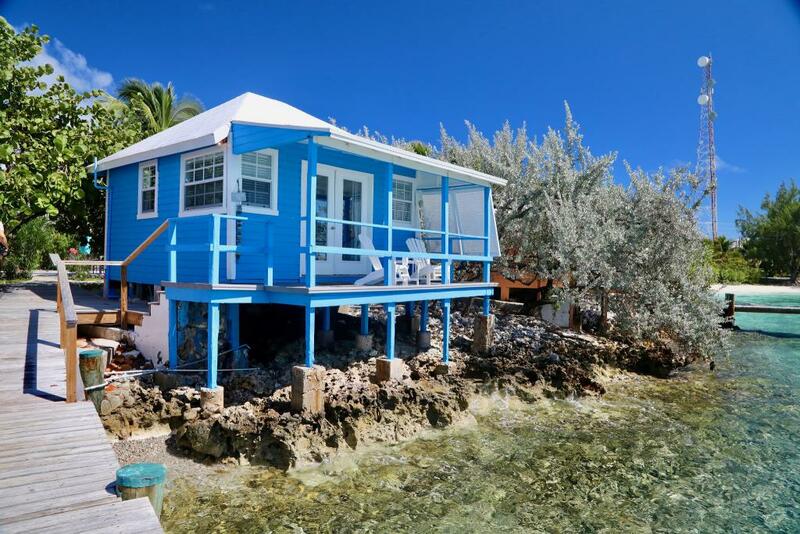 Ideal for a couple, this waterfront cottage boasts a plush king-sized bed, private bathroom with double sinks, rainfall shower, and walk-in closet. 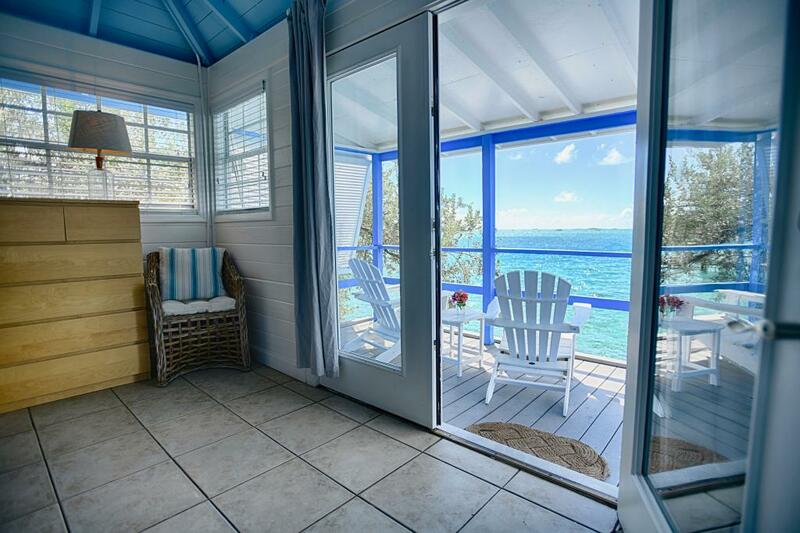 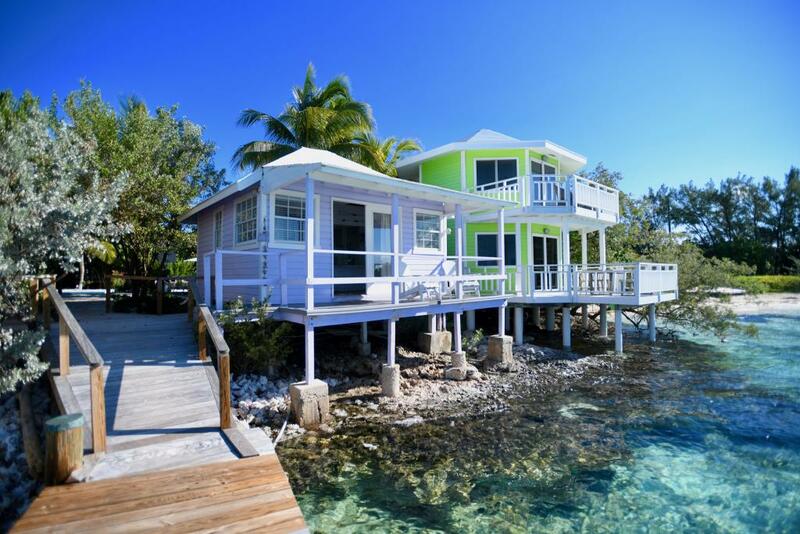 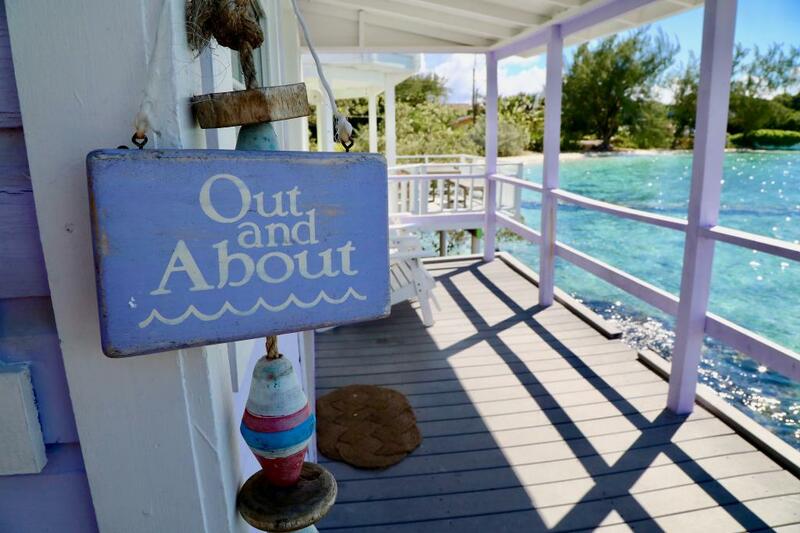 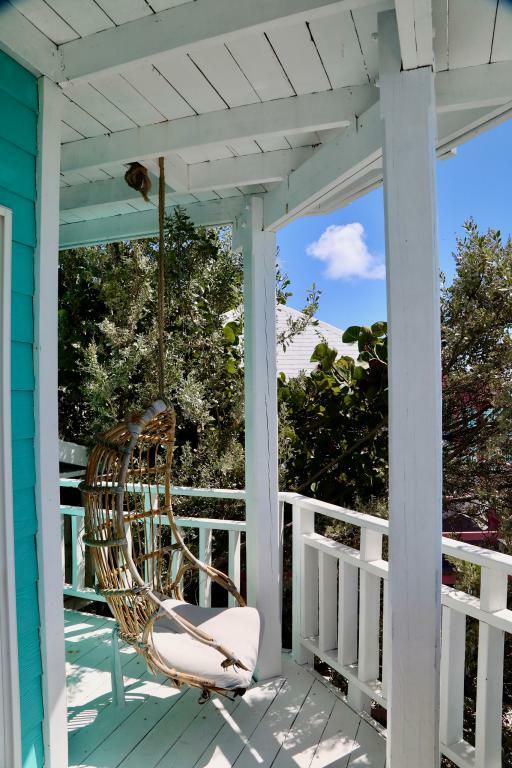 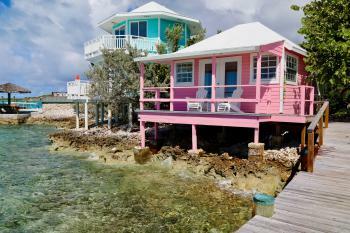 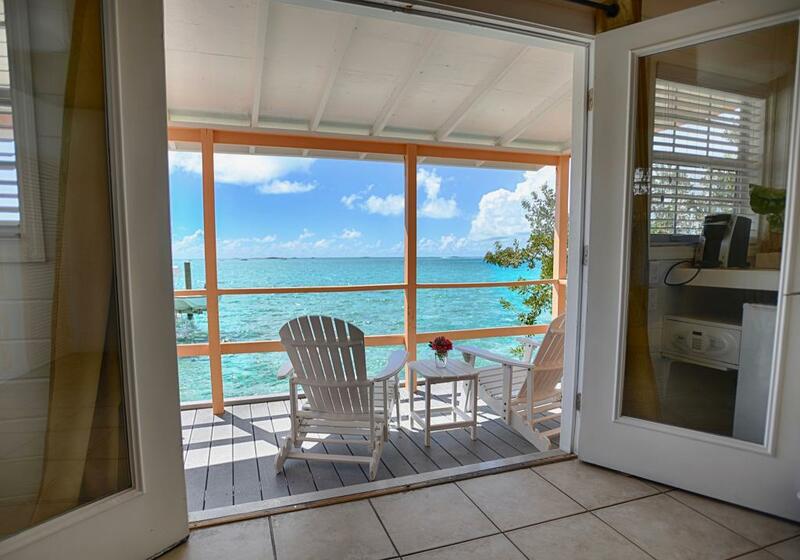 Your large porch invites you to relax and enjoy the breathtaking views of the crystal clear waters and memorable sunsets that Staniel Cay is known for! 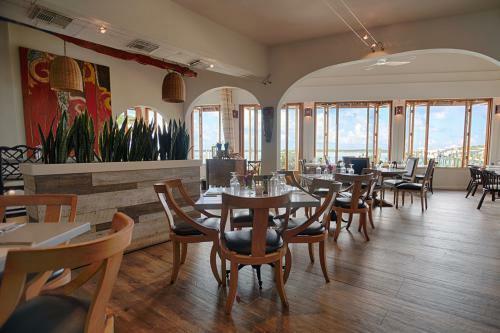 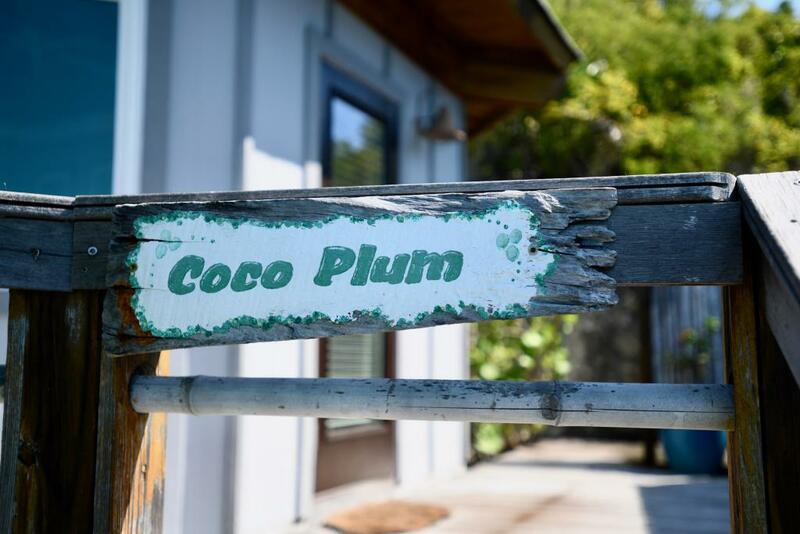 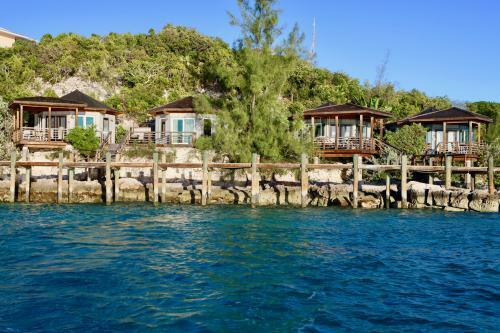 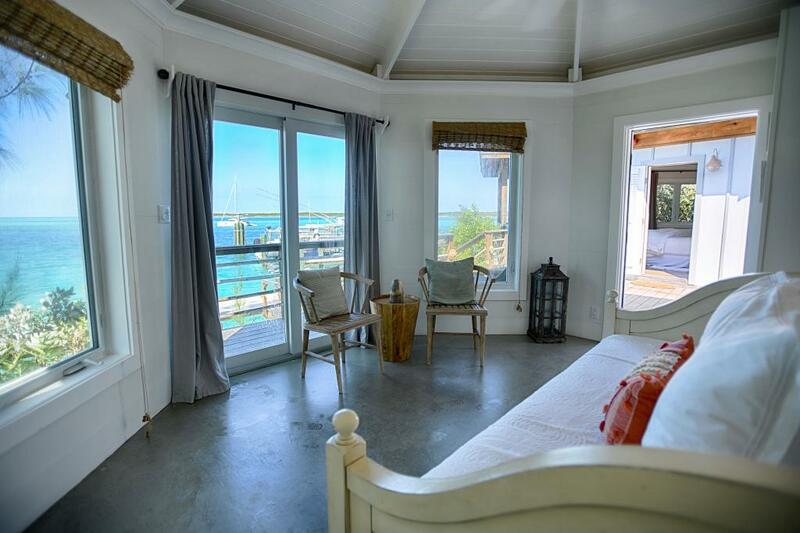 Coco Plum is a beautiful waterfront suite perfect for a couple but with room for up to 4. 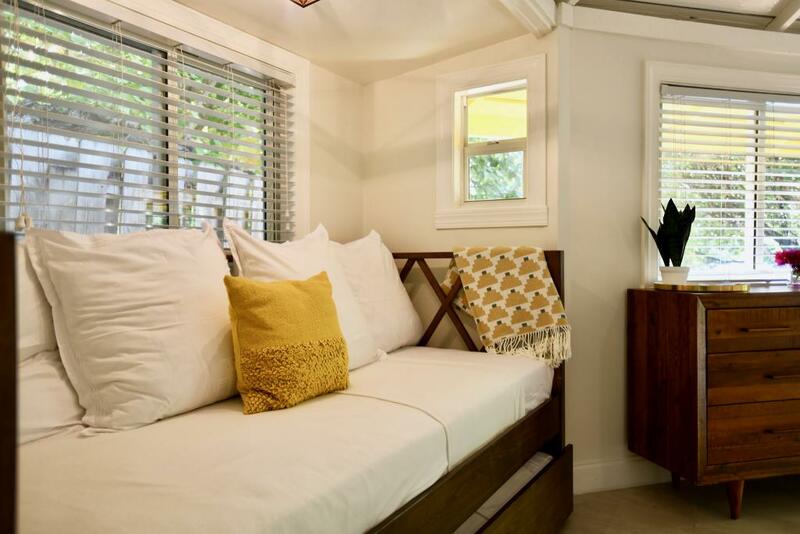 With two separate buildings, the “living room” (with sitting area and trundle bed) doubles as a sleeping area and is connected by the deck to the “bedroom”, offering privacy to both. 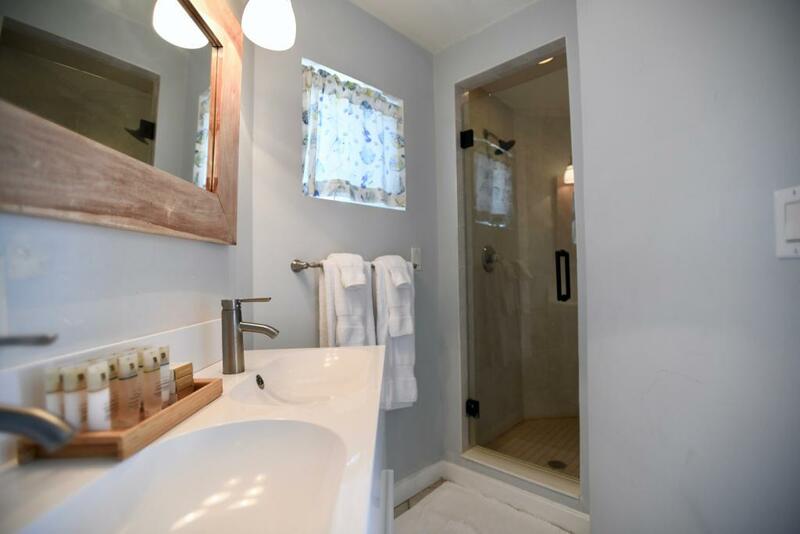 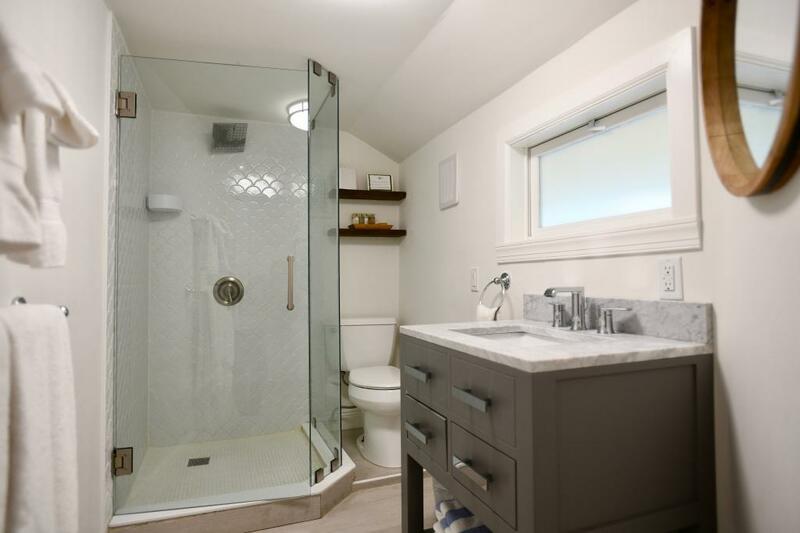 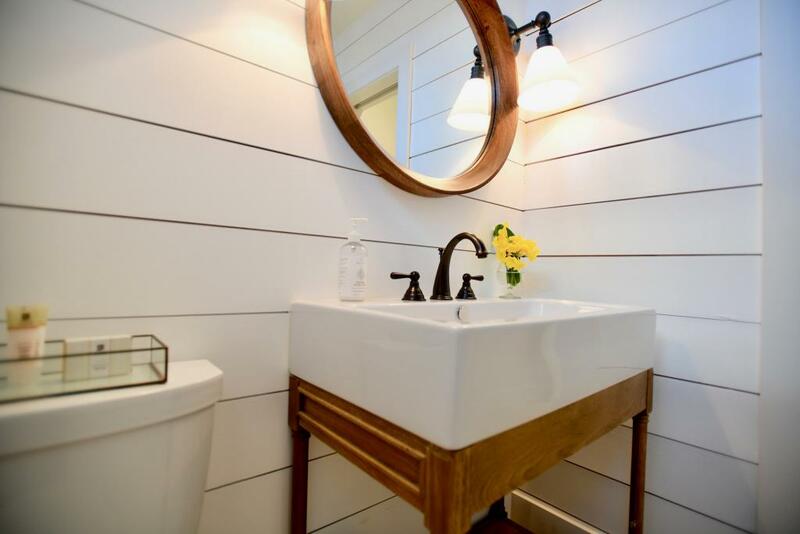 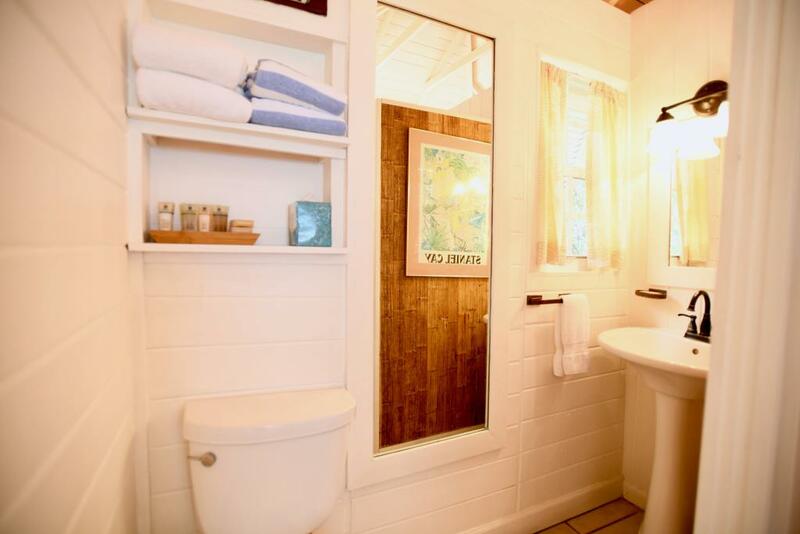 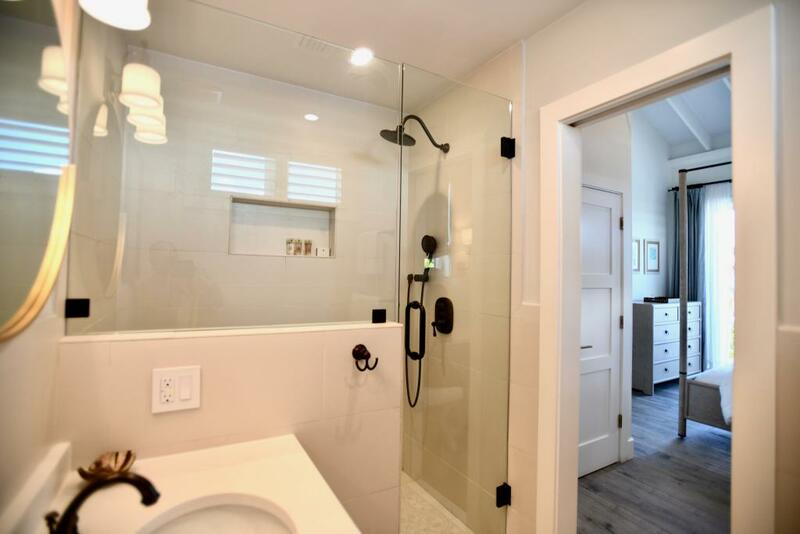 The bedroom features a full bath while the “living room” offers a half bath. 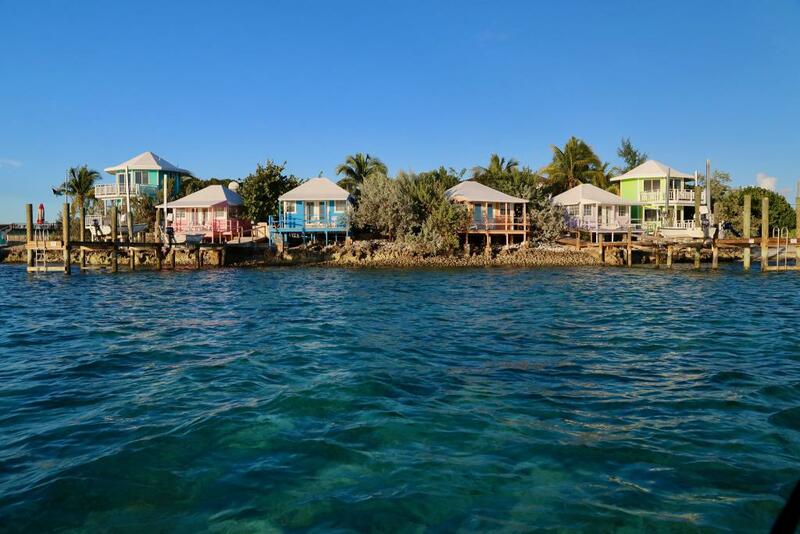 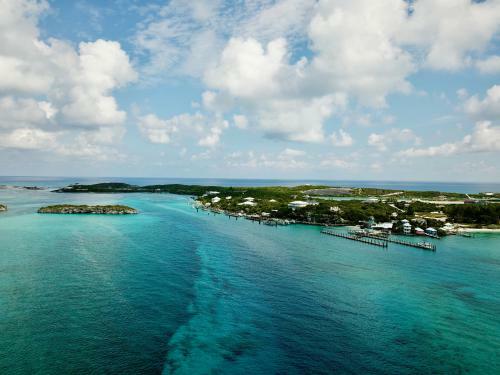 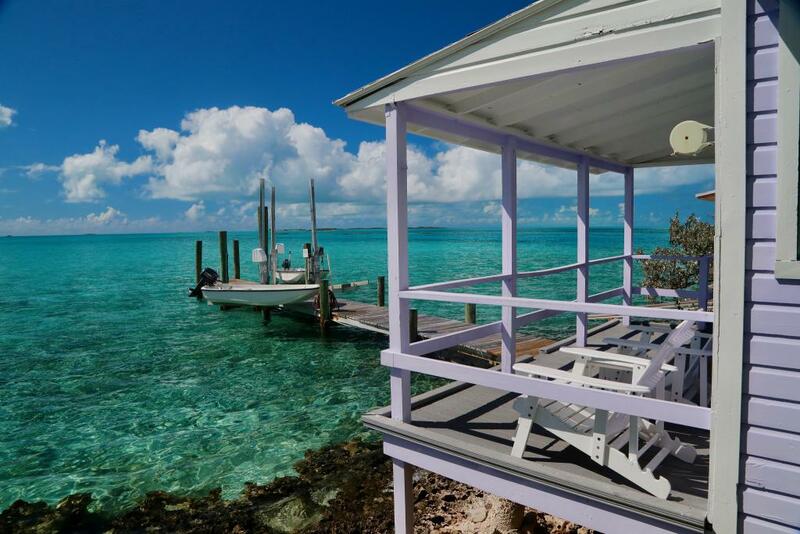 Wake up to beautiful views of the tranquil turquoise waters of Staniel Cay! 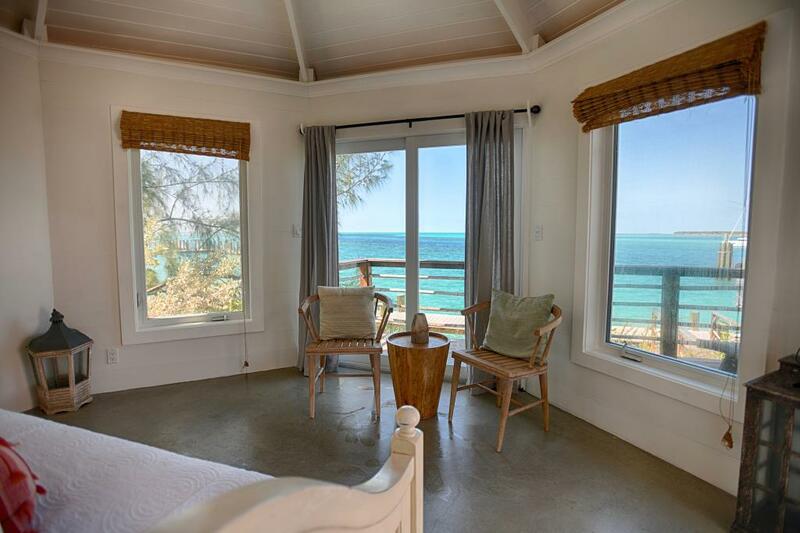 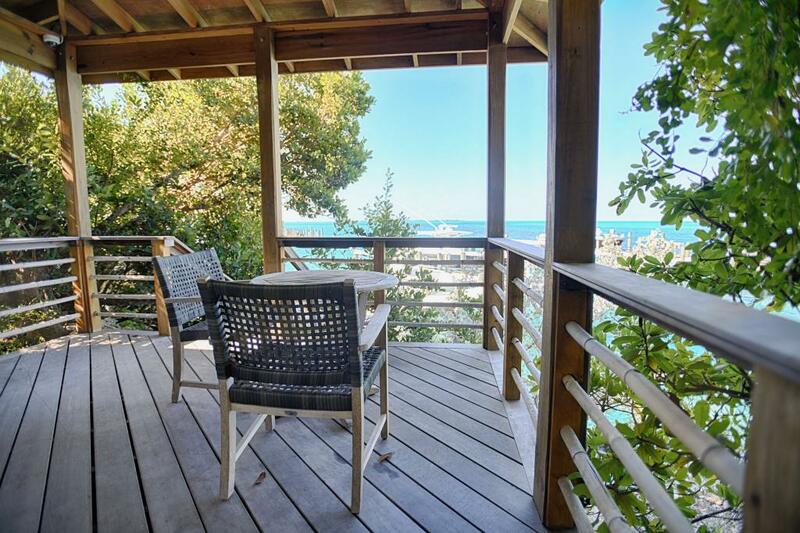 This ocean view two-story suite is ideal for up to four guests. 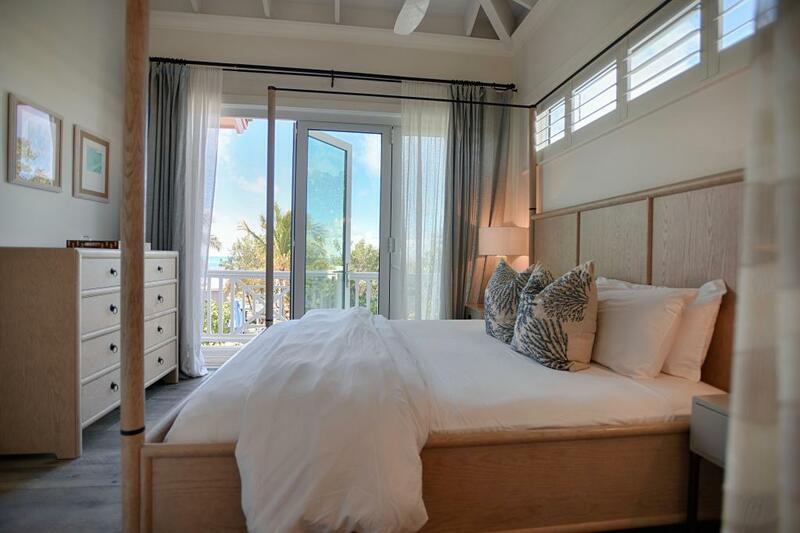 The master bedroom enjoys a king-size bed, full-bath and private balcony. 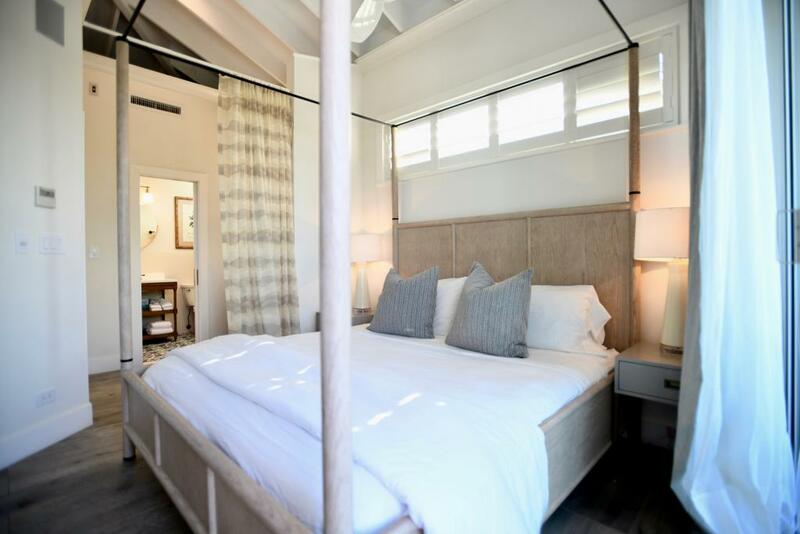 The living room is downstairs with an elegant daybed and pull-out trundle, along with a second full-bath and private lower balcony. 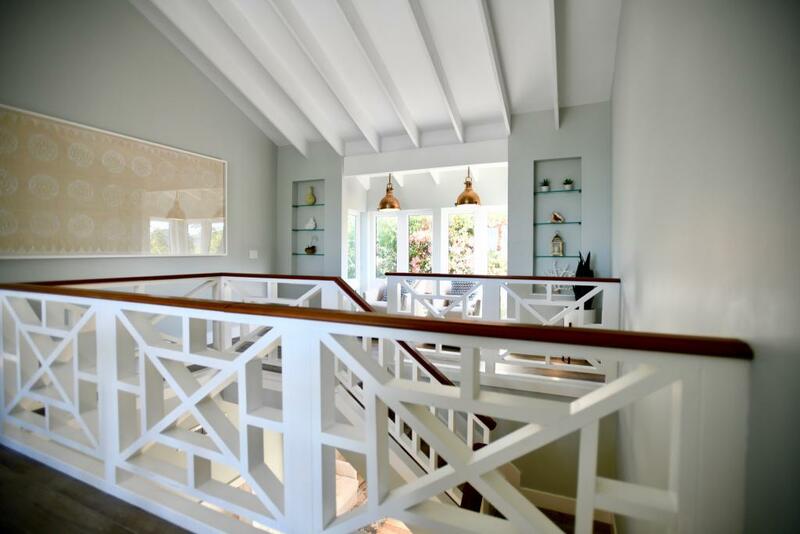 A spiral staircase connects the floors, offering partial privacy to each level. 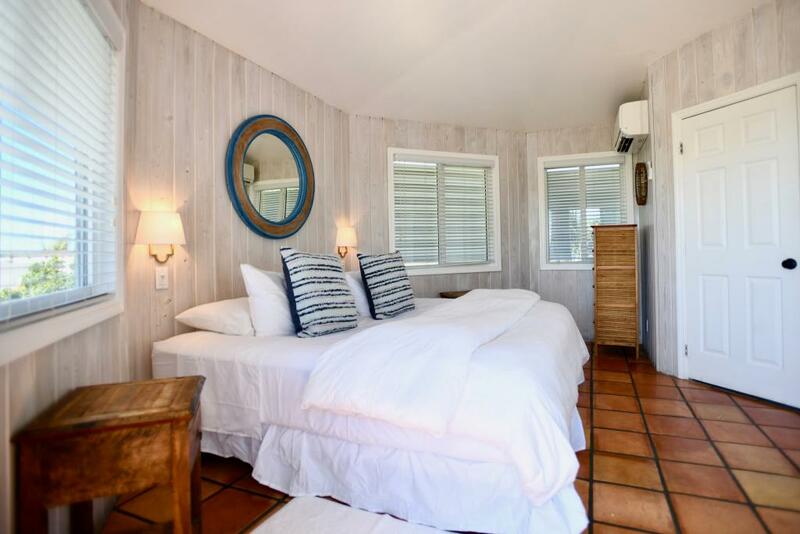 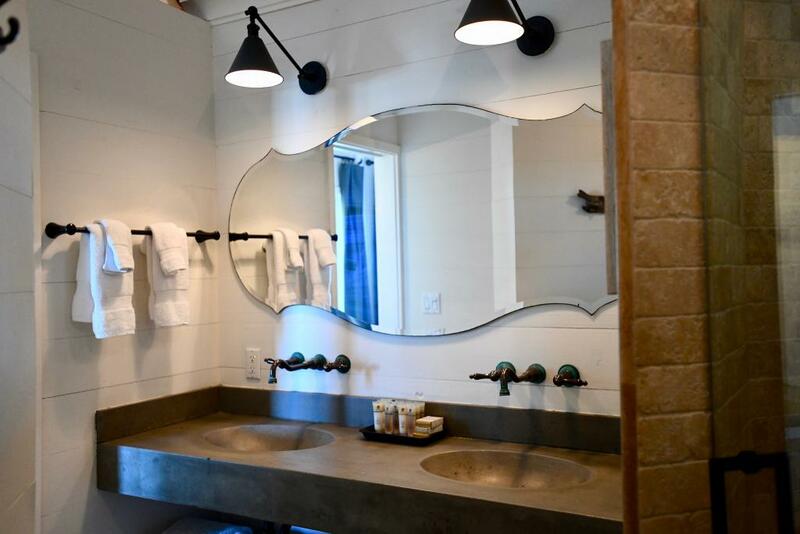 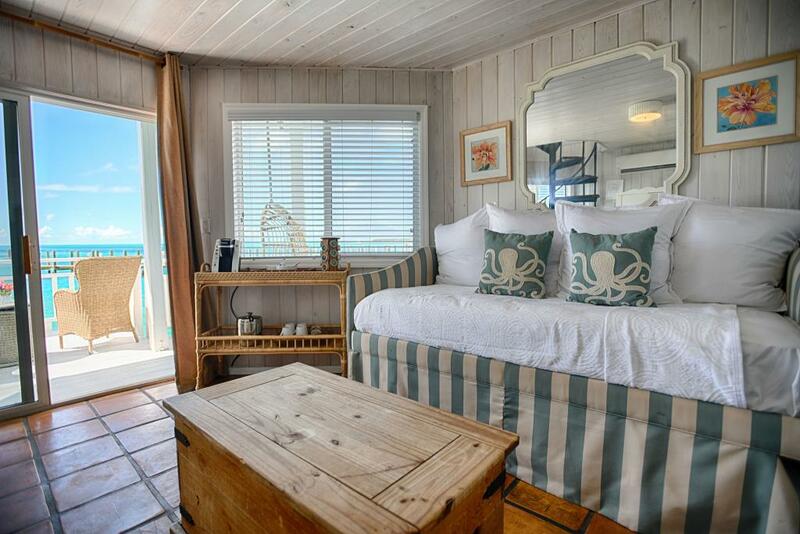 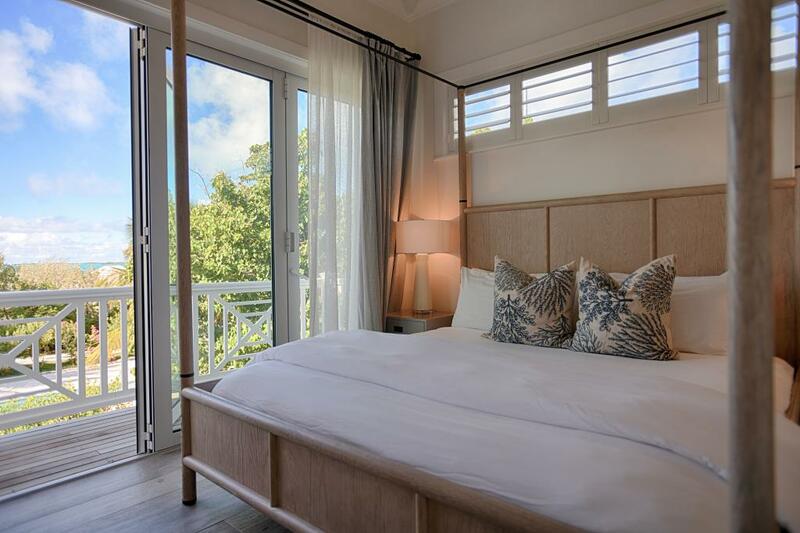 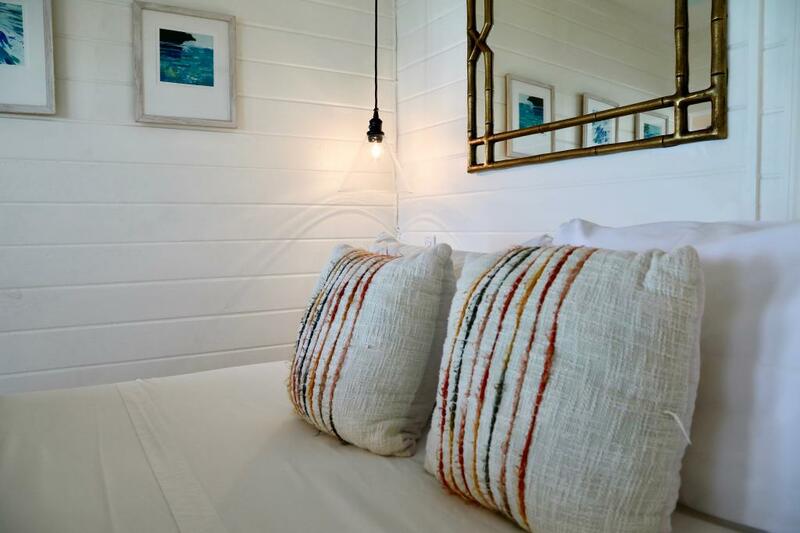 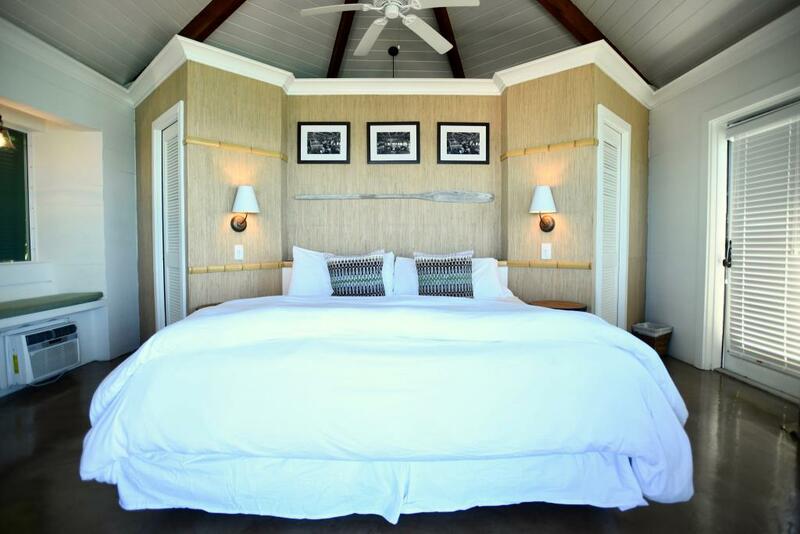 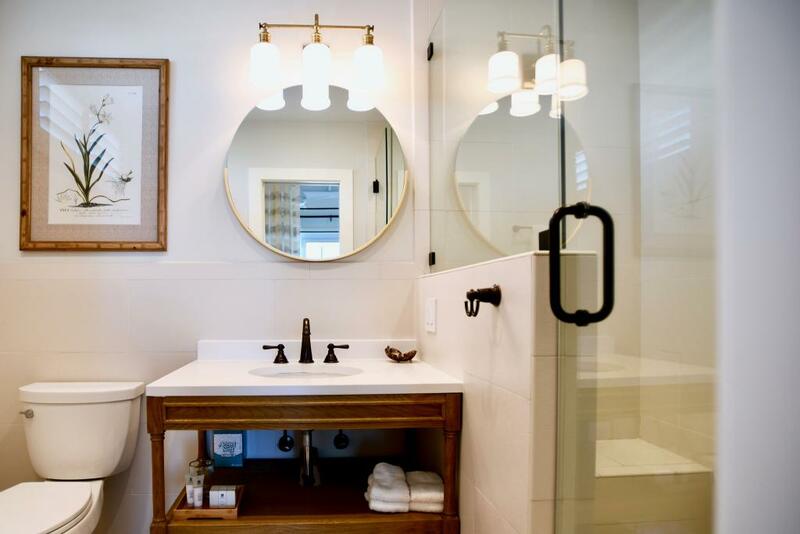 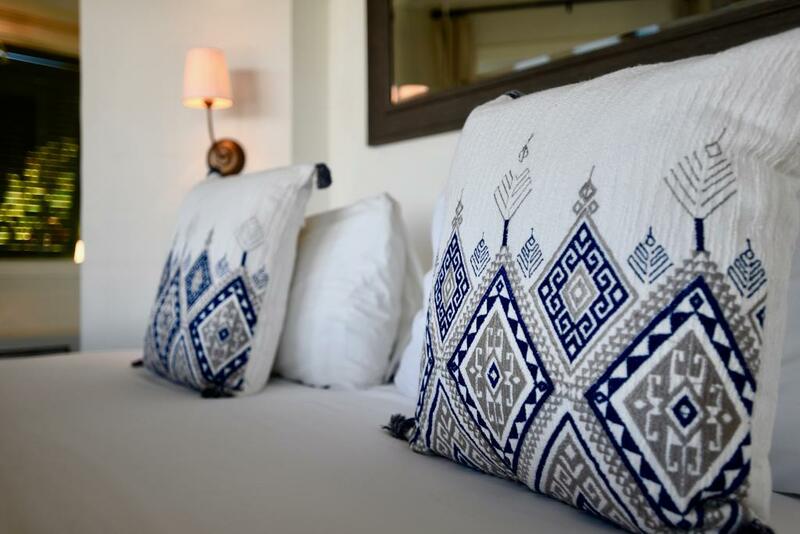 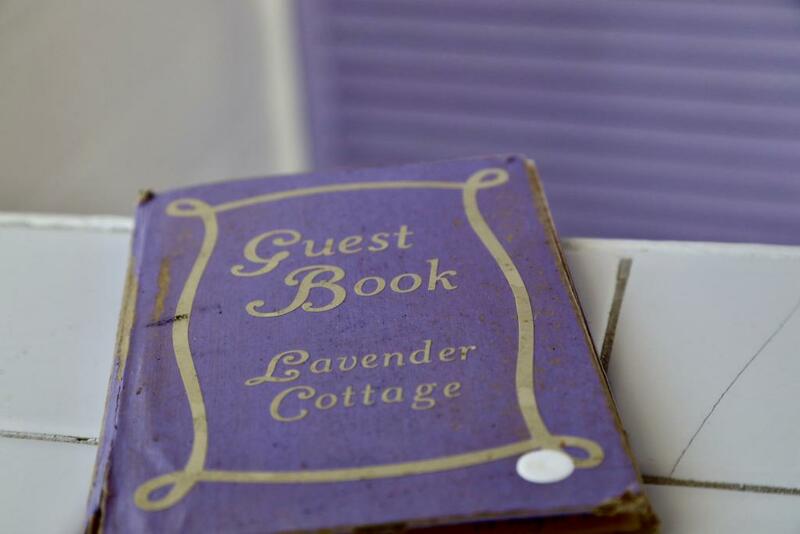 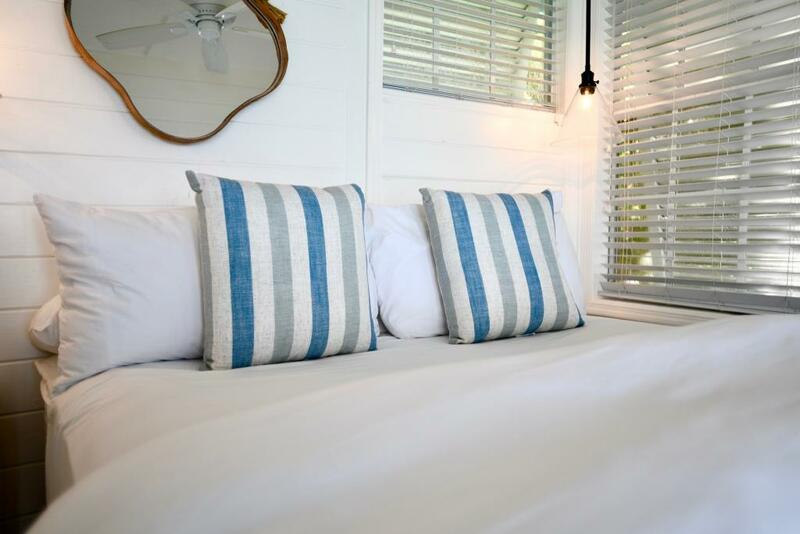 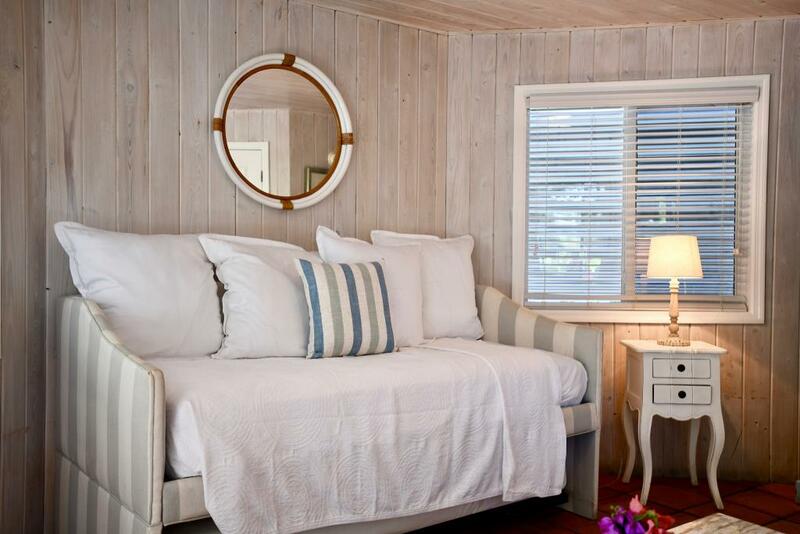 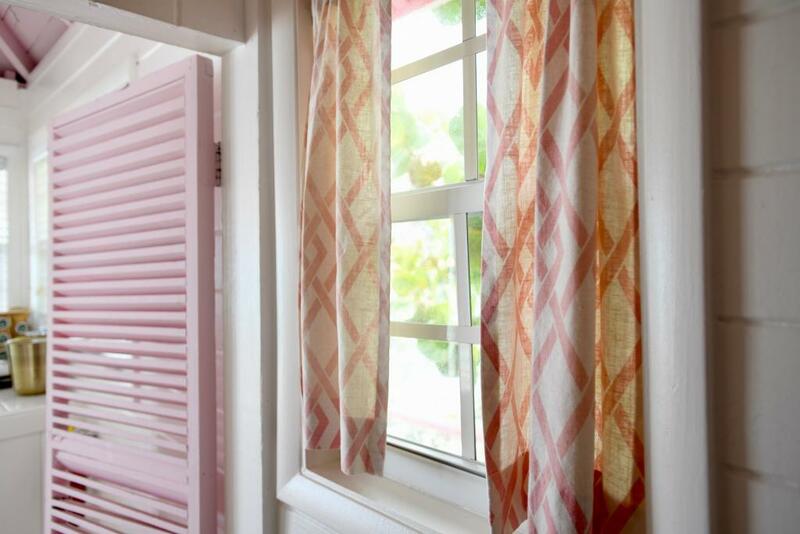 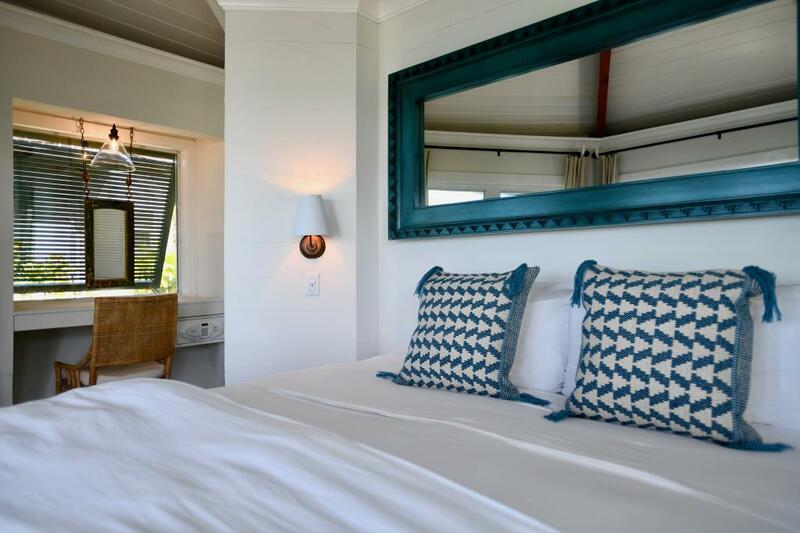 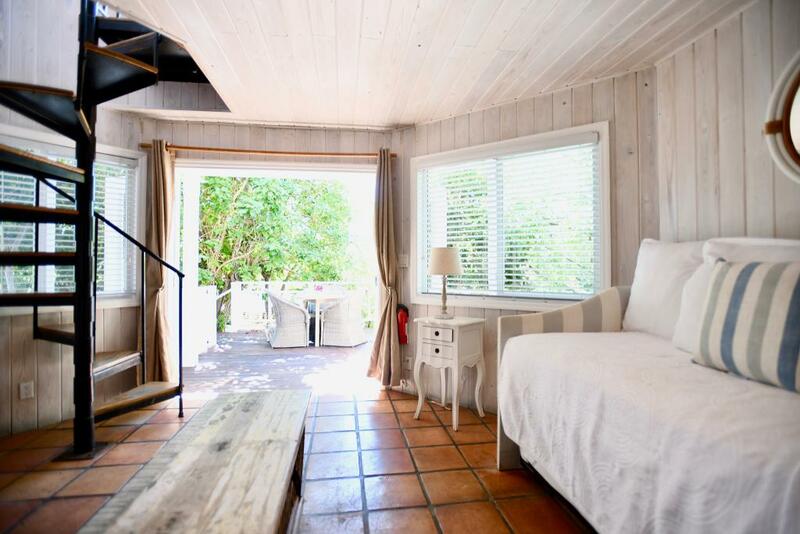 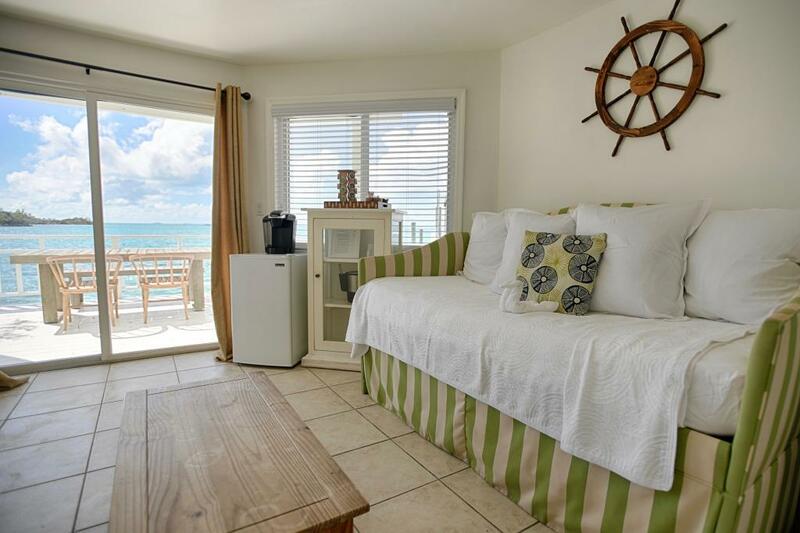 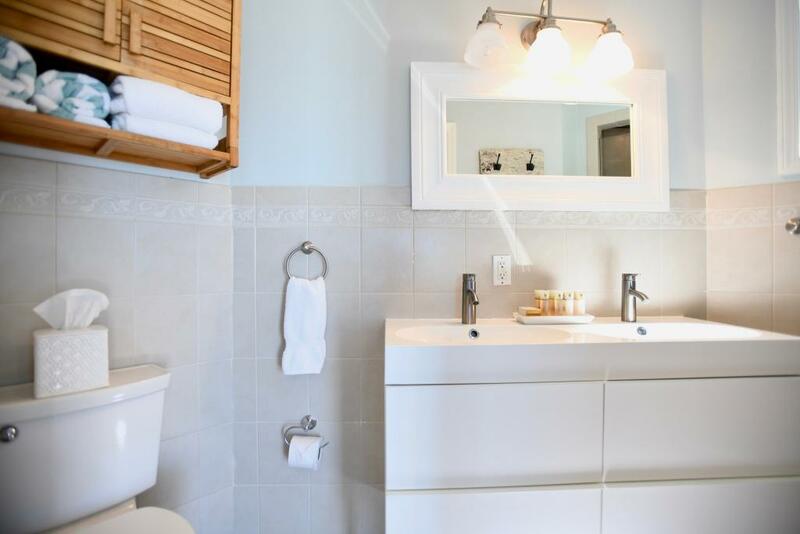 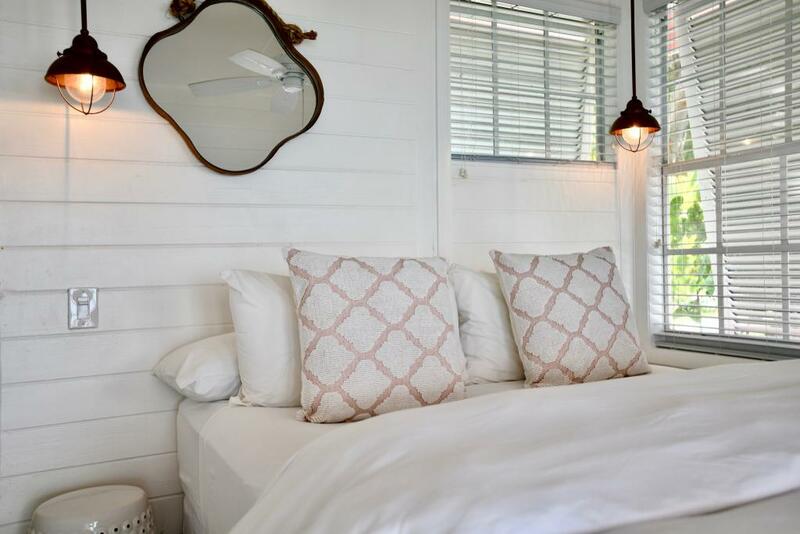 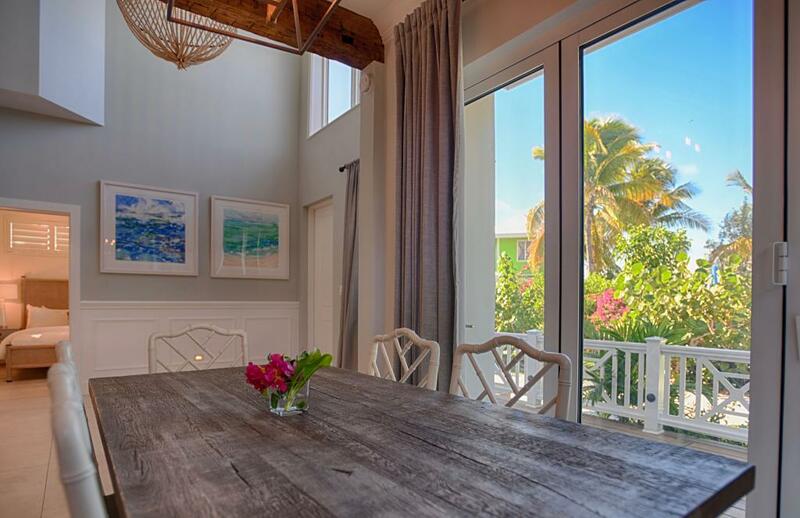 The suite interior is beautifully decorated in relaxing neutrals that complement the colorful exterior that the Staniel Cay Yacht Club cottages are known for! 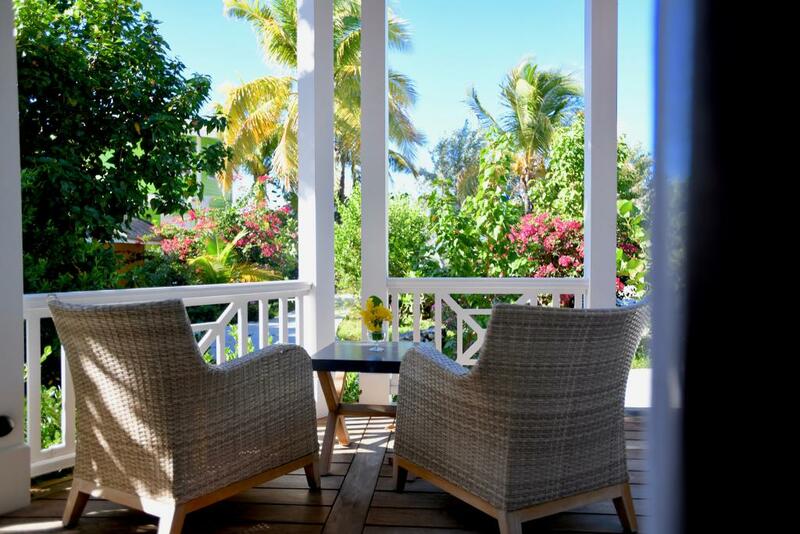 Enjoy spectacular views of the sunset each evening from your balcony, while watching the aquatic life swim by in this idyllic tropical setting. This two-story suite with 2 full baths is nestled amongst tropical foliage and has incredible ocean sunset views from the upper balcony over the tropical canopy. 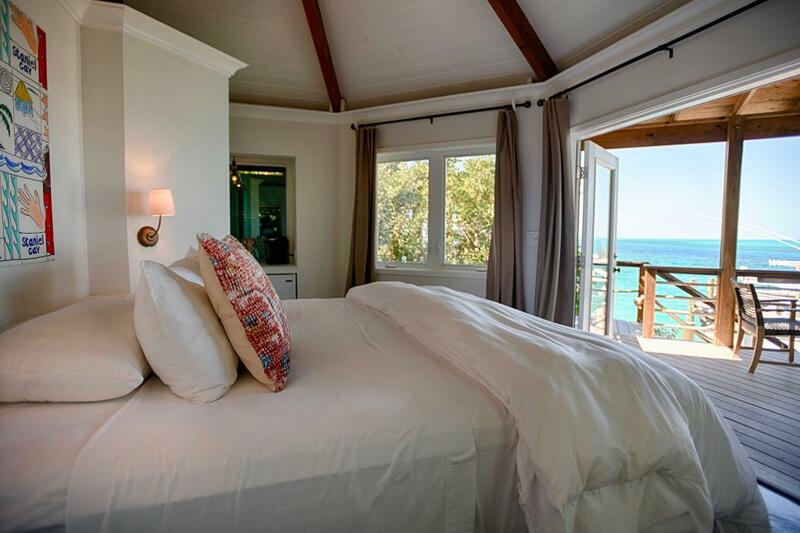 The master bedroom is upstairs with a king-size bed, full-bath and private balcony. 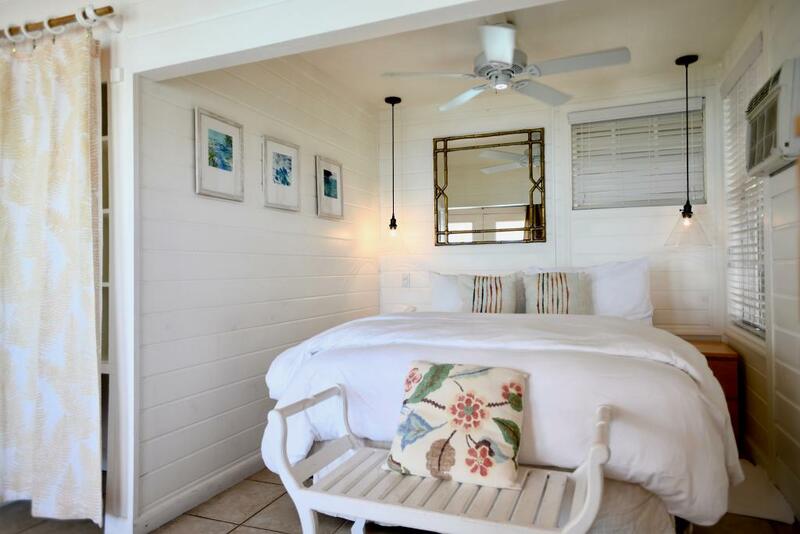 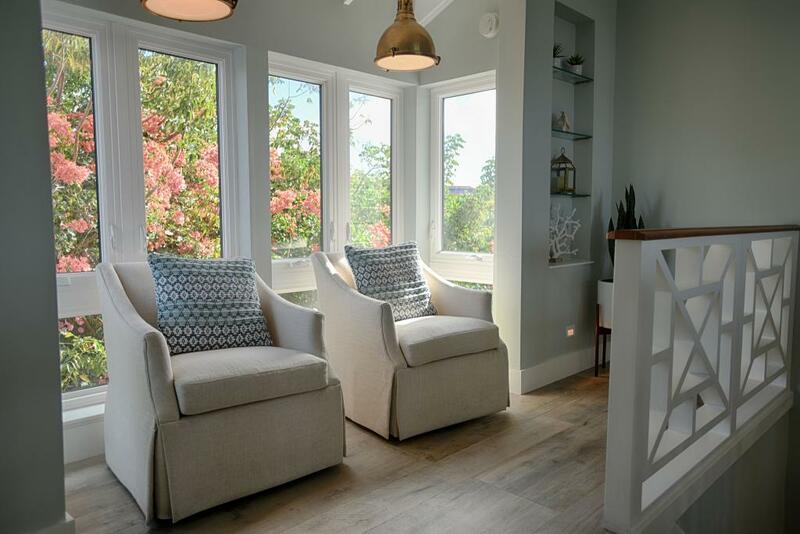 The living room is downstairs with an elegant daybed and trundle along with a second full-bath and lower balcony. 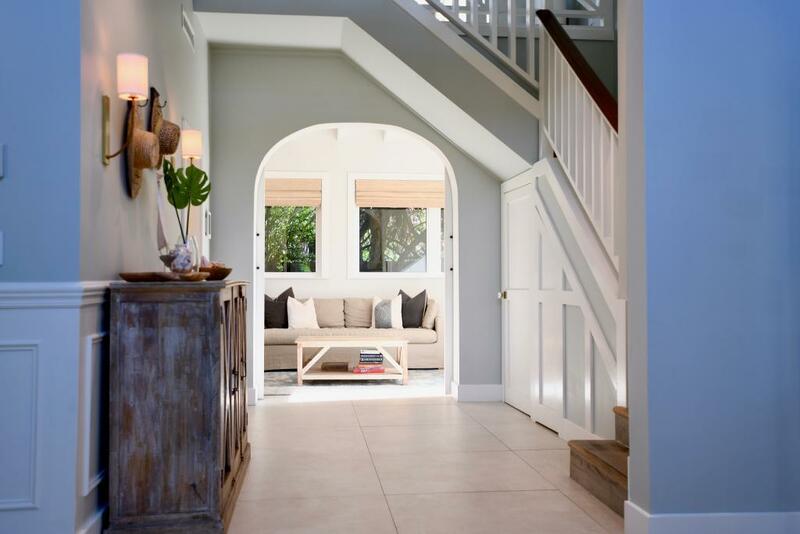 A spiral staircase connects the floors, offering partial privacy to each level. 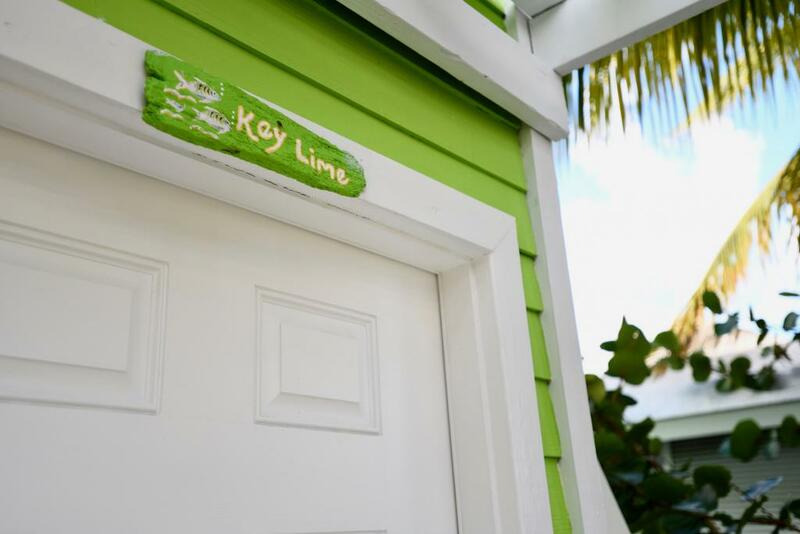 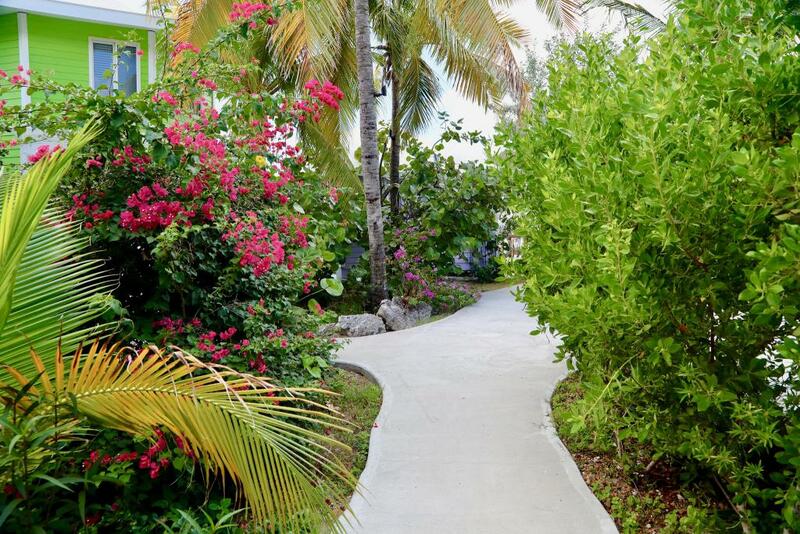 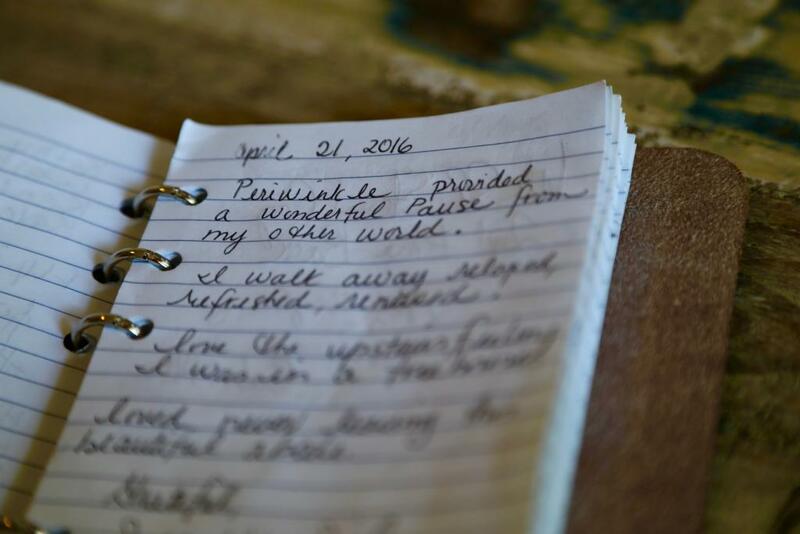 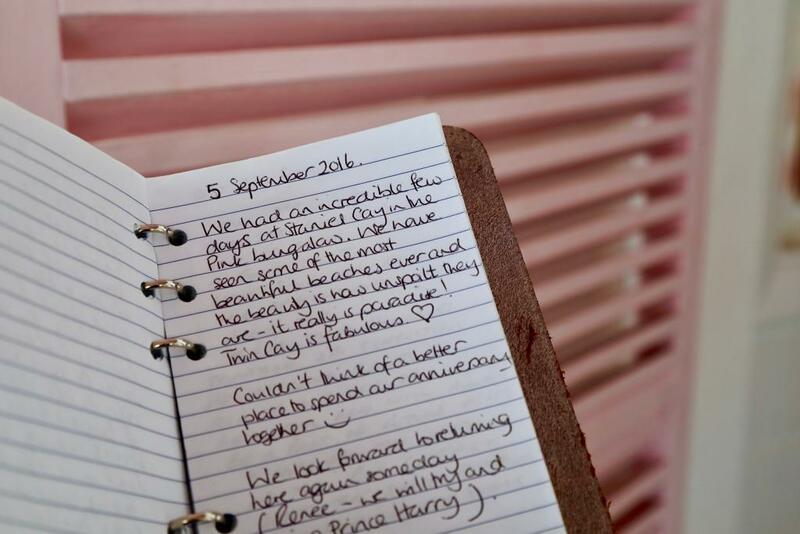 Paradise awaits as you step inside the doors of Coral Villa! 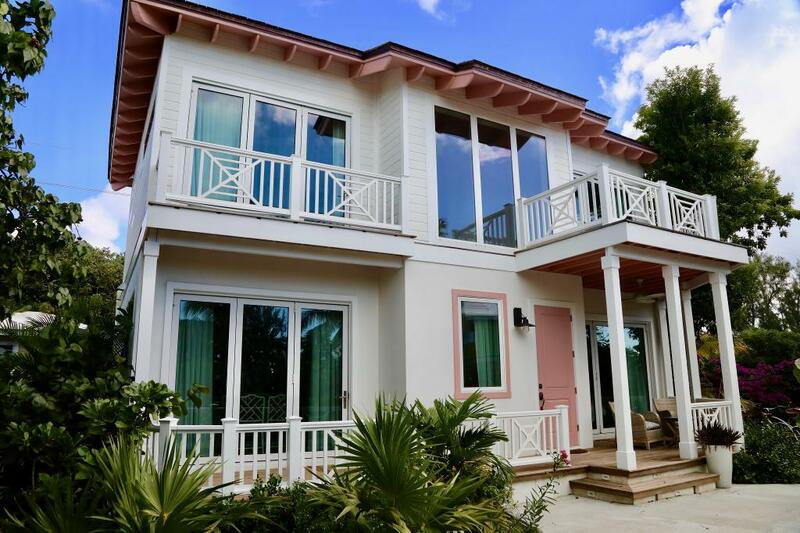 Nestled among the tropical foliage of Staniel Cay Yacht Club, this luxurious two-story villa offers all the comforts of home and is ideal for families, couples traveling together, or groups that prefer larger space. 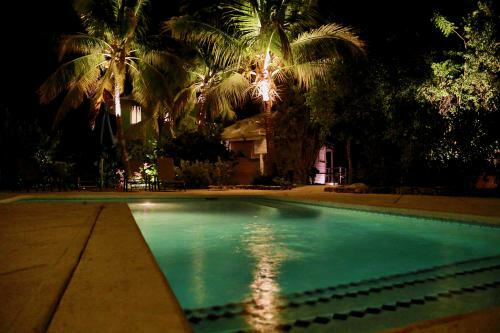 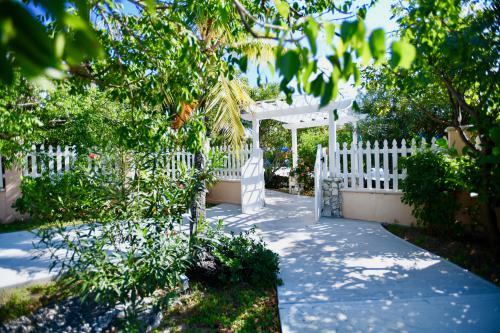 Enjoy happy hour on your private porch or relax by the pool patio right outside your door. 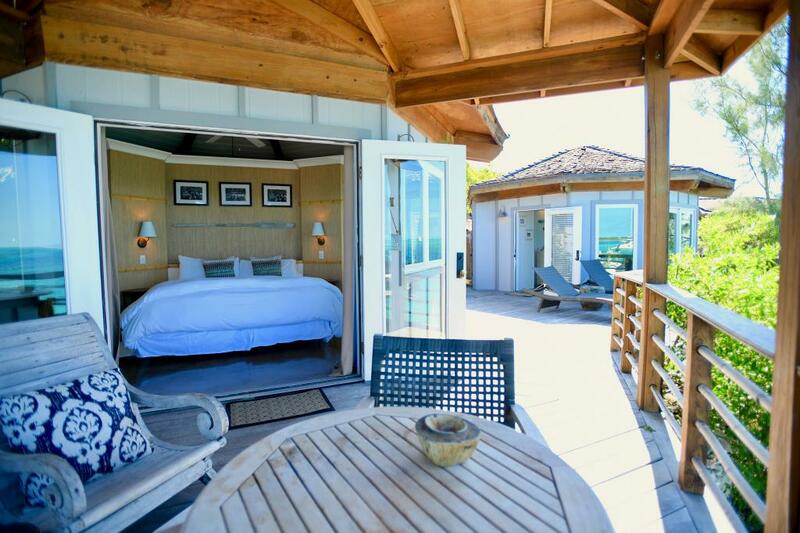 The Coral Villa offers spacious living spaces, inside and out. 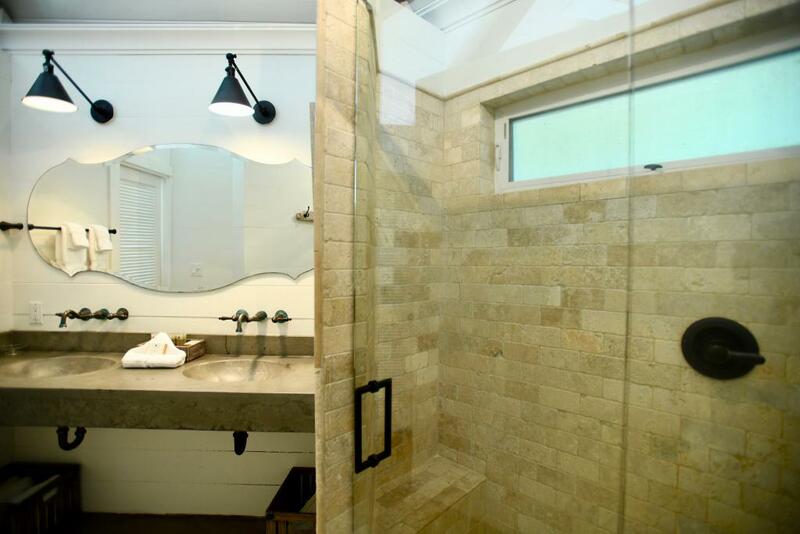 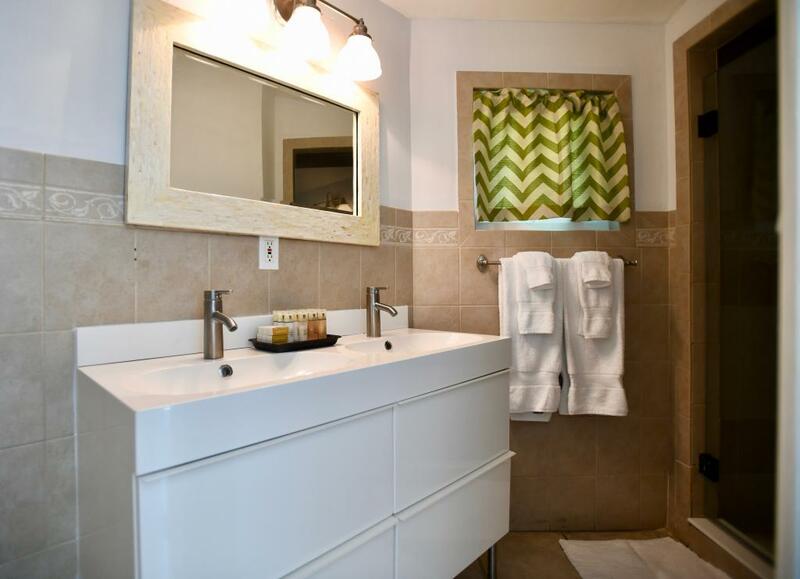 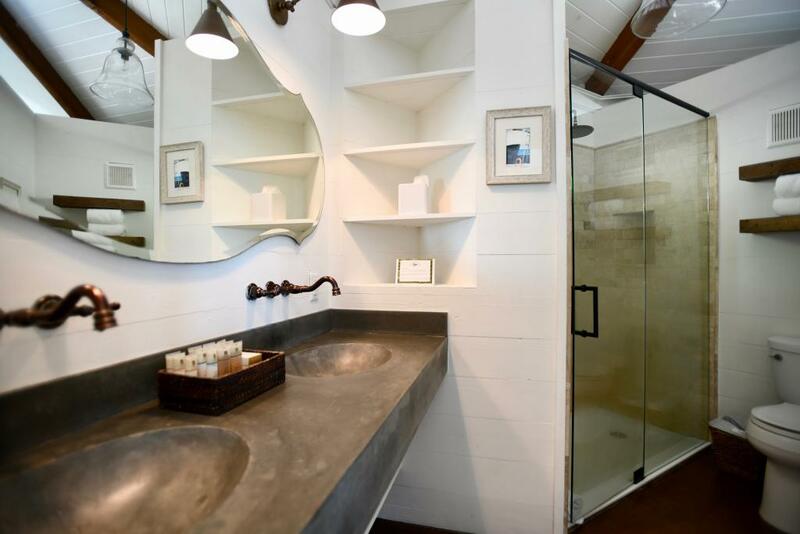 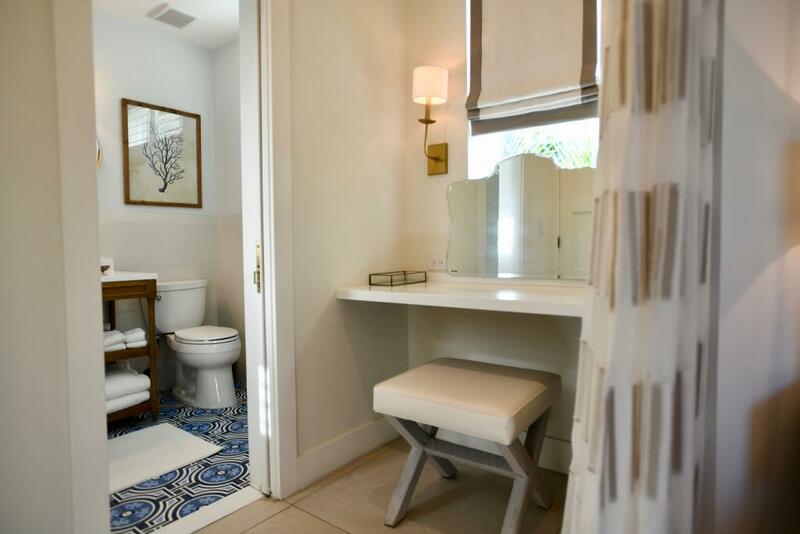 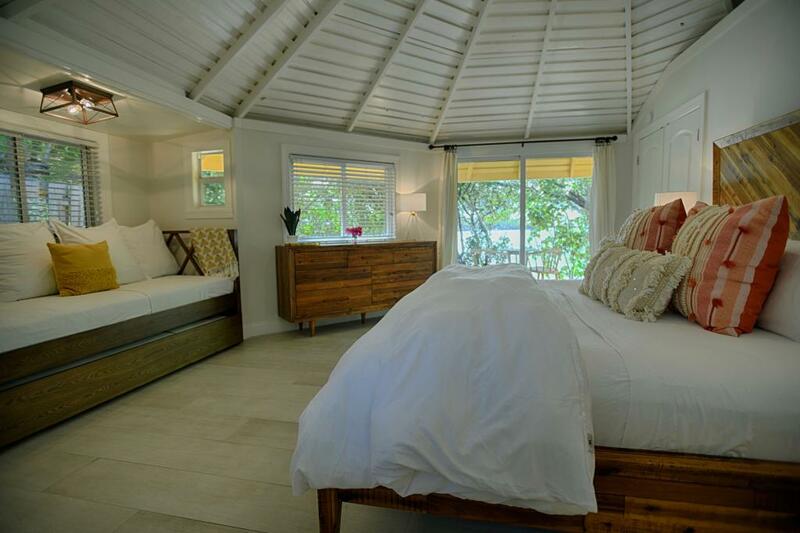 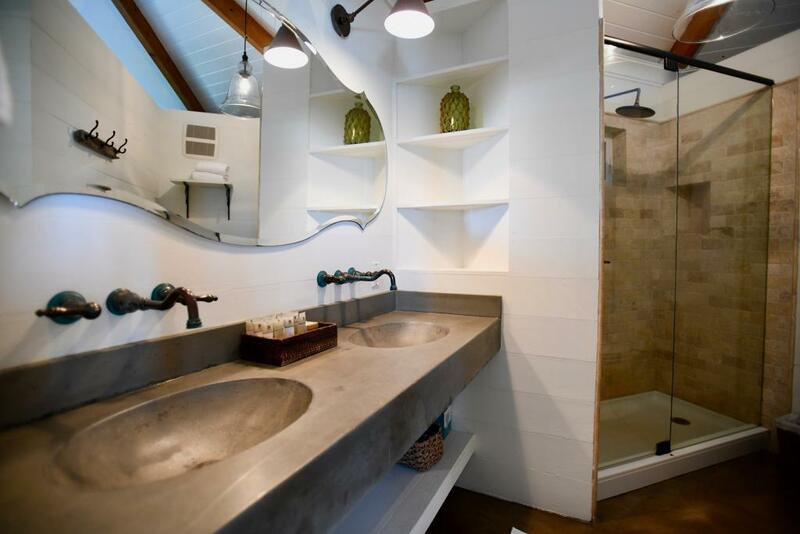 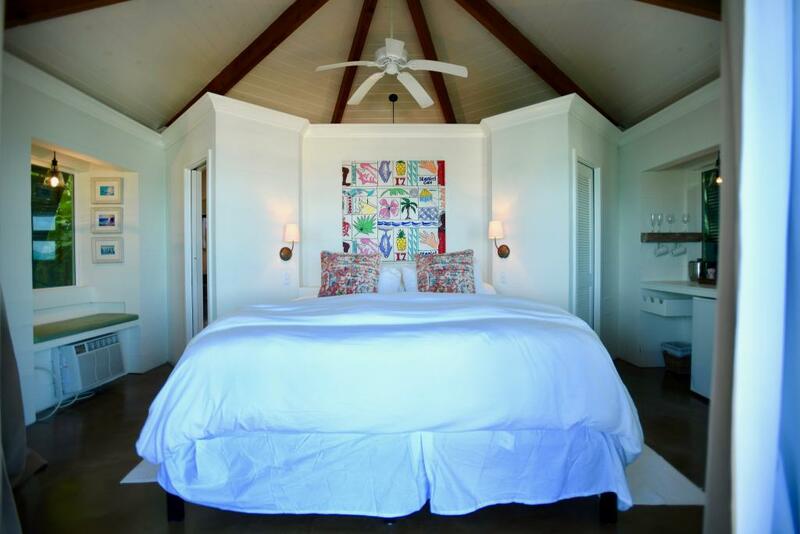 The Villa boasts three bedrooms, each with its own bathroom complete with oversized closets. 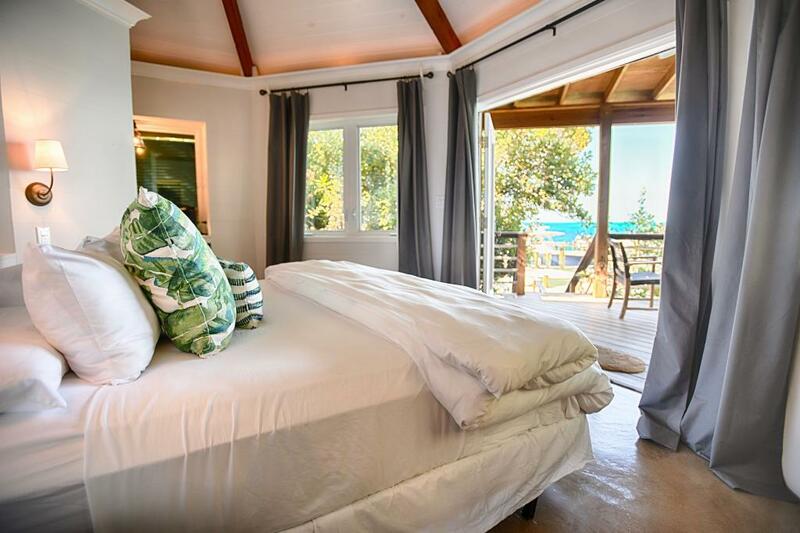 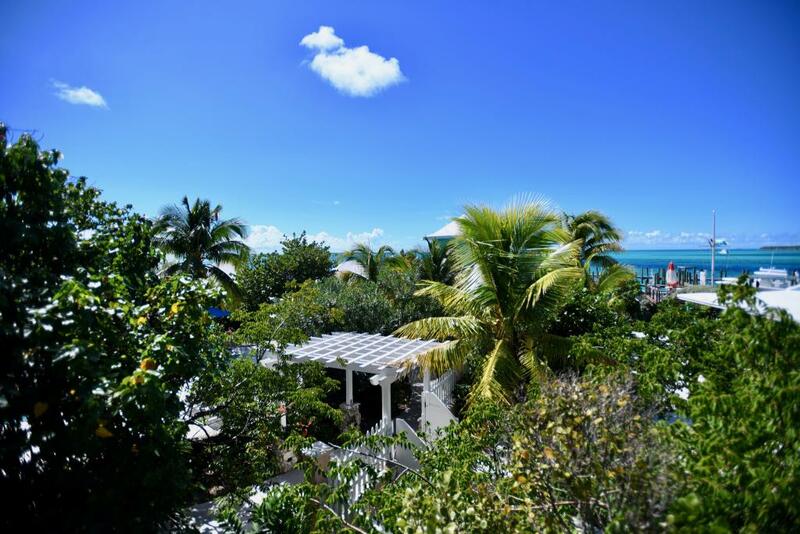 All three spacious bedrooms are appointed with a luxurious, private label “Staniel Cay Deluxe” king-size mattress and are fully air conditioned with individual thermostats, include sliding doors to a balcony overlooking the resort’s private pool patio. 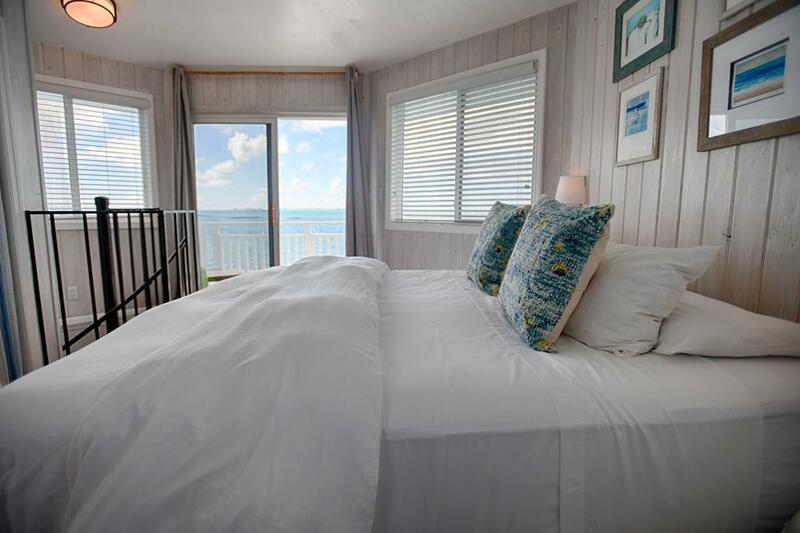 The two bedrooms on the second floor have views looking out over the calm ocean waters and are west-facing for great sunsets. 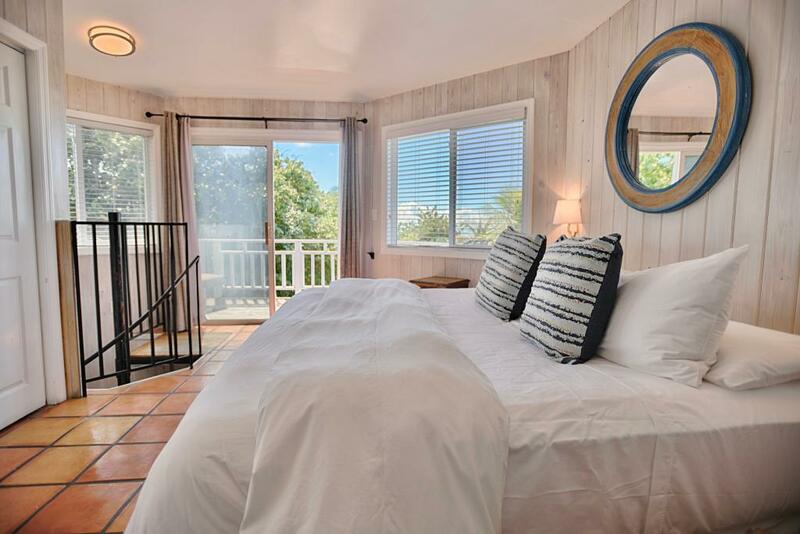 The lower bedroom has garden/poolside views. 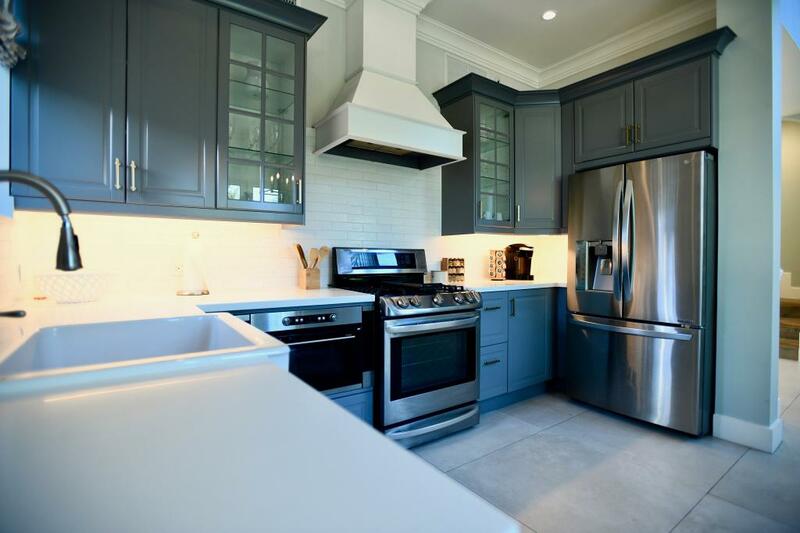 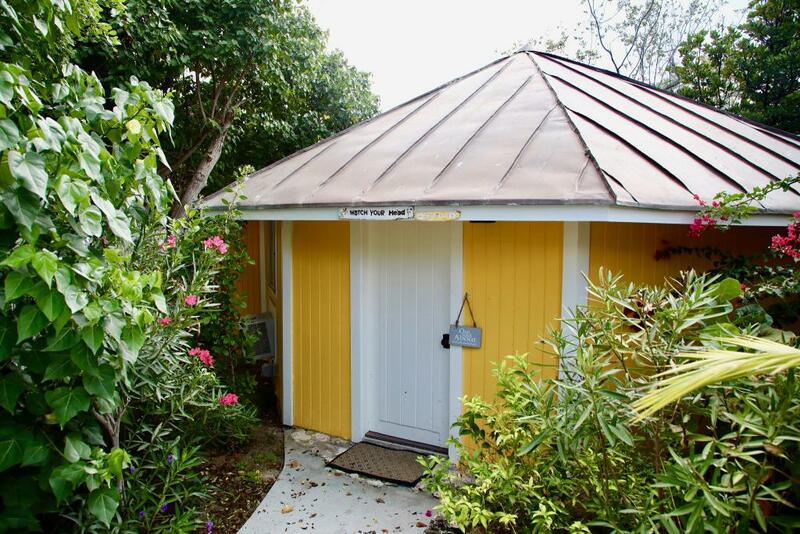 Coral Villa comes equipped with a state-of-the-art kitchen, complete with a full-sized refrigerator, oven, stove, microwave, and dishwasher. 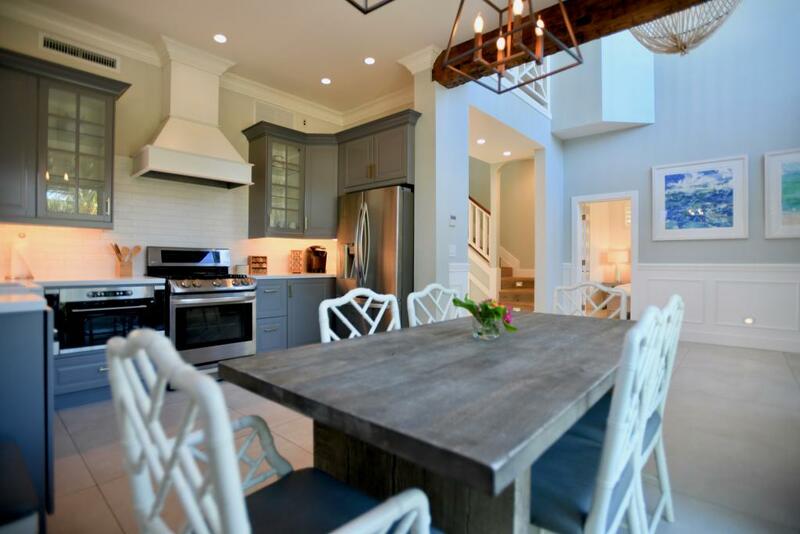 If you are in the mood, enjoy a home cooked meal within the lush foliage on your back deck or grill out on your private back porch (grill and propane included). 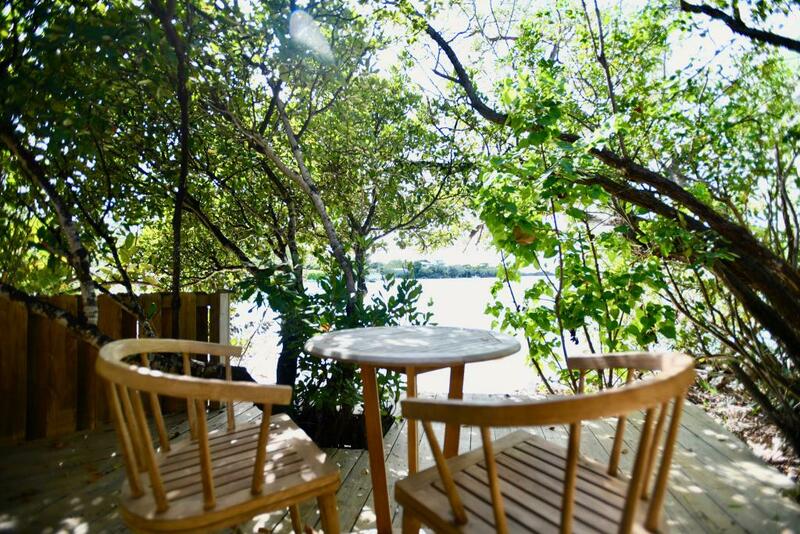 Unwind from a long day on the water in your private living room, complete with cozy couches and a large screen television that includes a DVD player. 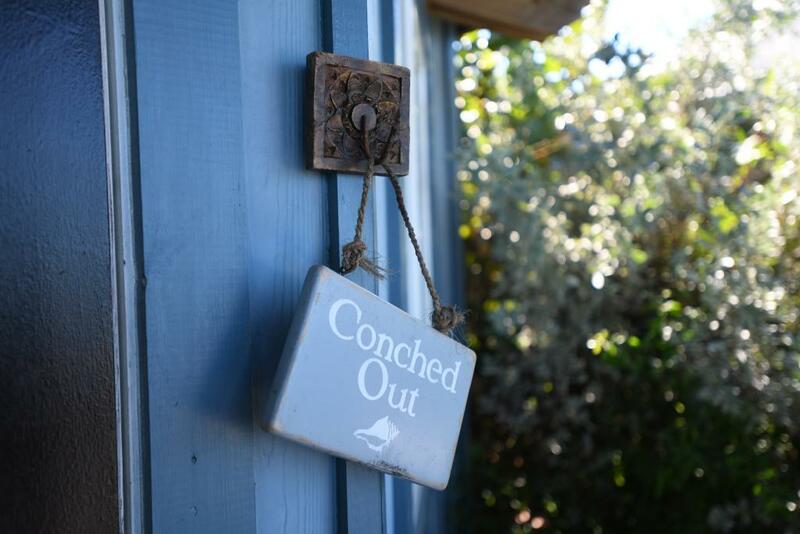 No SCYC accommodation is complete without your very own boat to explore the magnificence of the surrounding area! 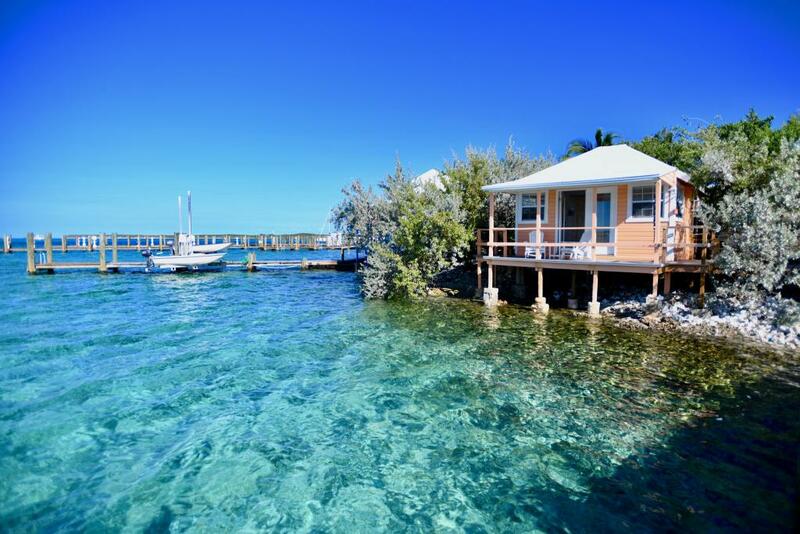 The Coral Villa includes a 2016 22’ Sundance Skiff with 90 hp motor. 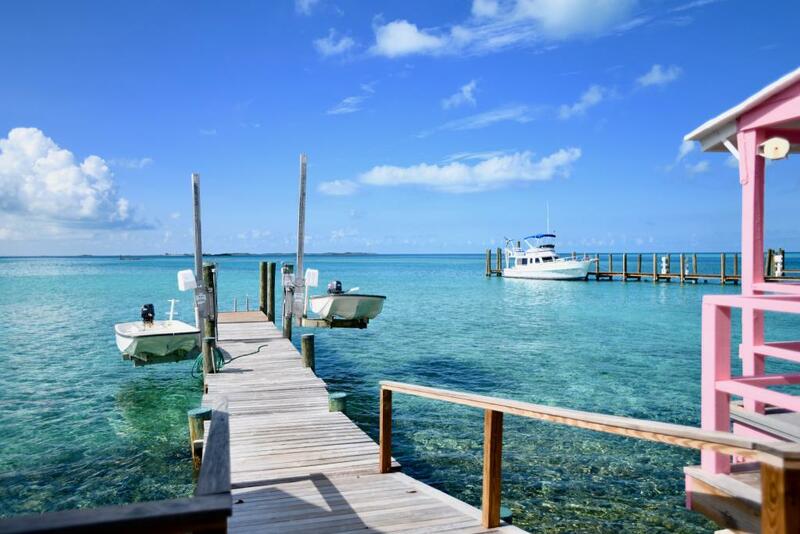 Skiff includes fuel, umbrella and snorkeling gear. 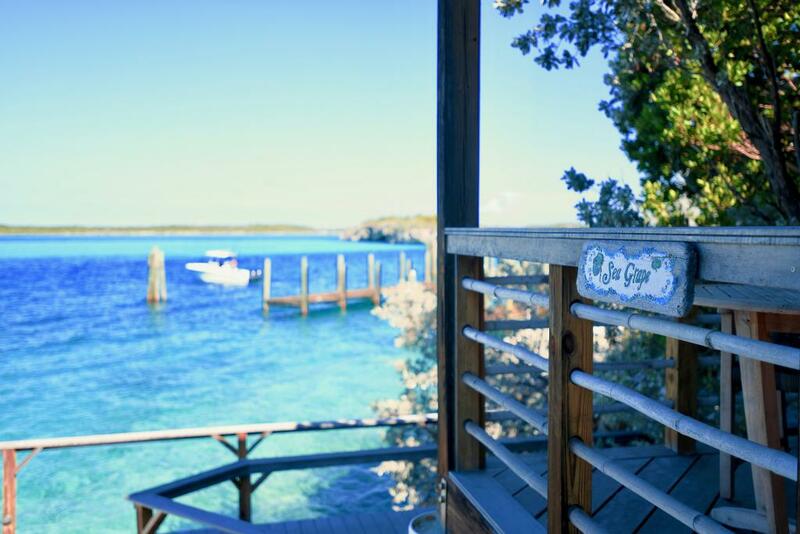 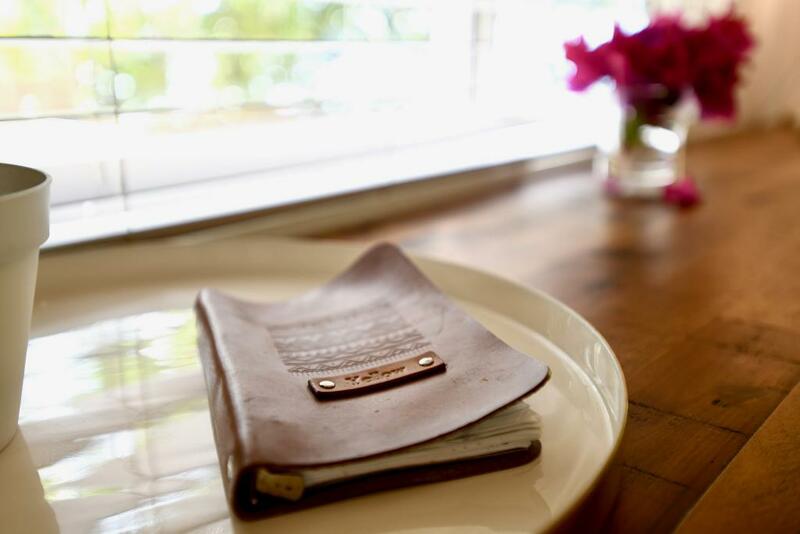 Don’t forget to order your boxed lunch each morning for a full day of adventure on the water! 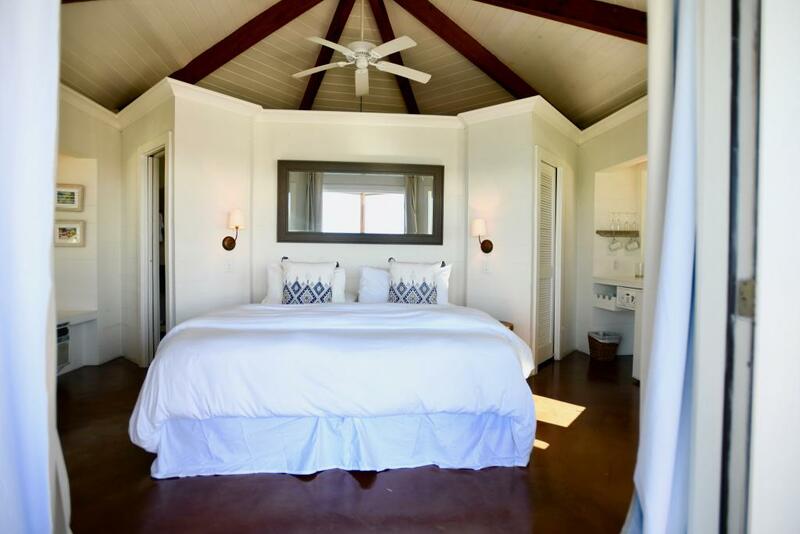 We are proud to offer this unique villa accommodation at Staniel Cay Yacht Club, where luxury and comfort combine with the renowned character and service of SCYC in the middle of the Exuma Cays. 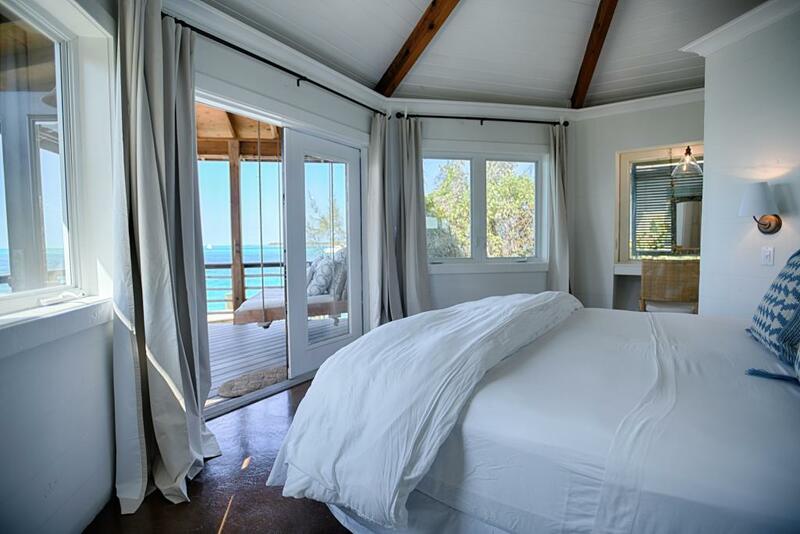 Wake up to breathtaking views of the tranquil turquoise waters of Staniel Cay! 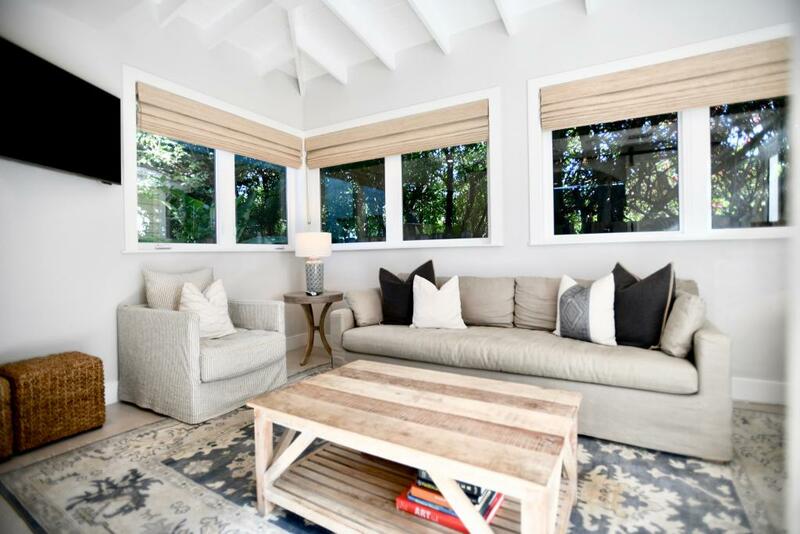 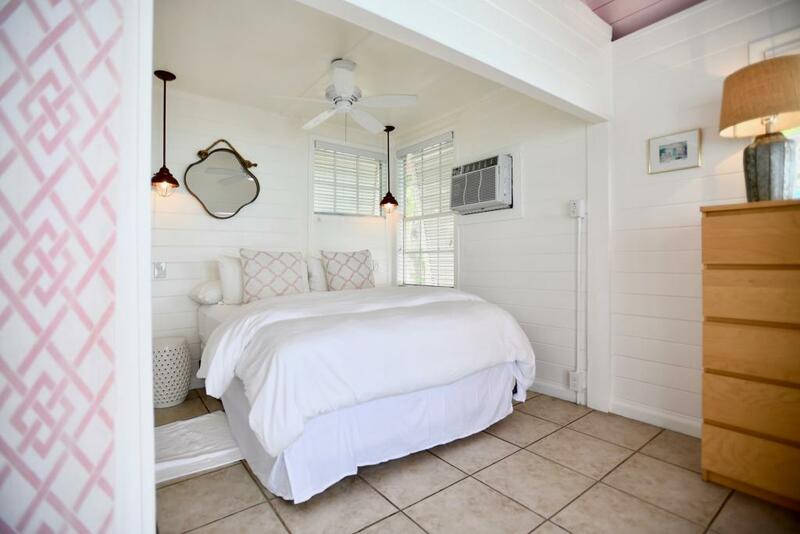 This single-story bungalow is ideal for couples, having one bedroom with a queen size bed and private bathroom. 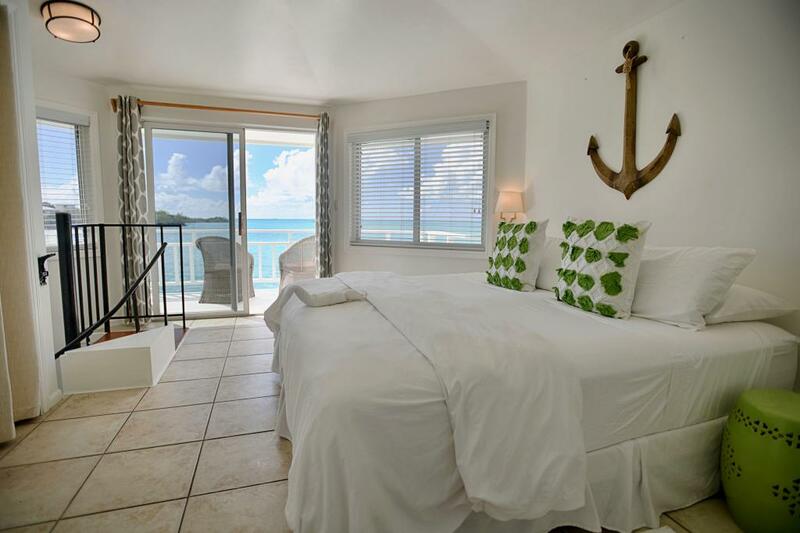 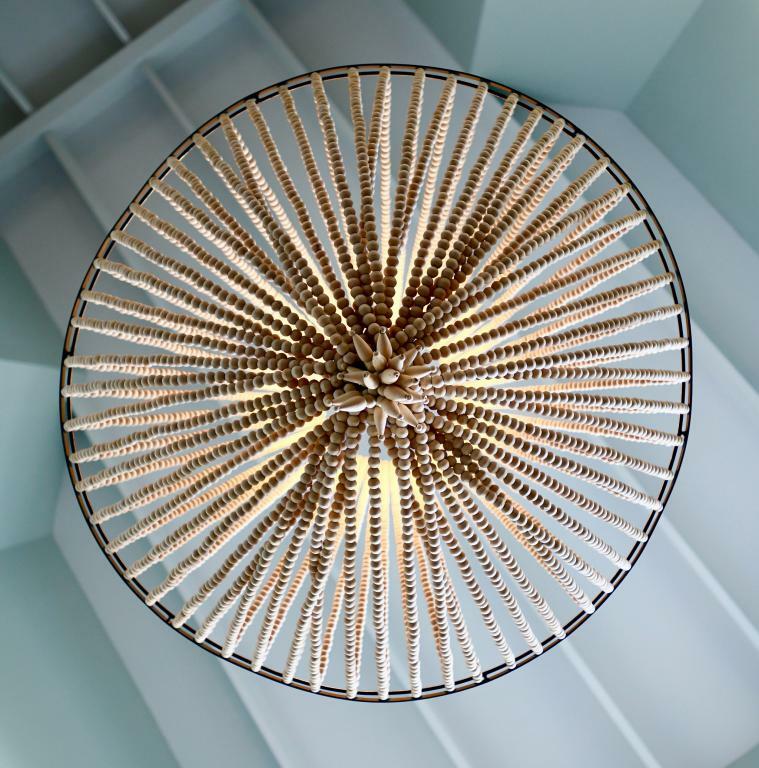 Your balcony overhangs the crystal clear waters and faces west for views of the most beautiful sunsets. 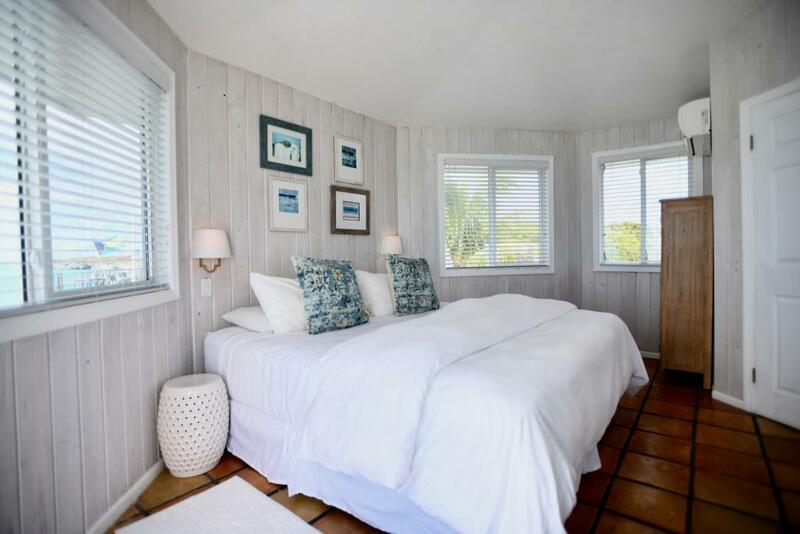 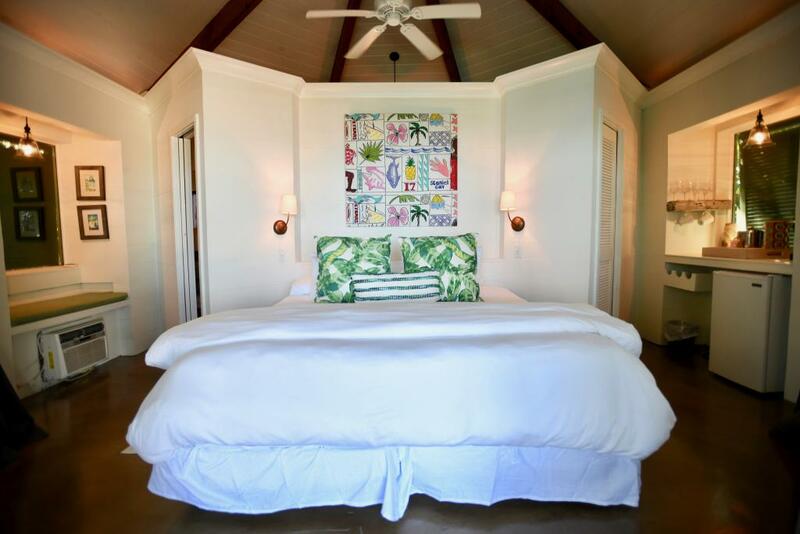 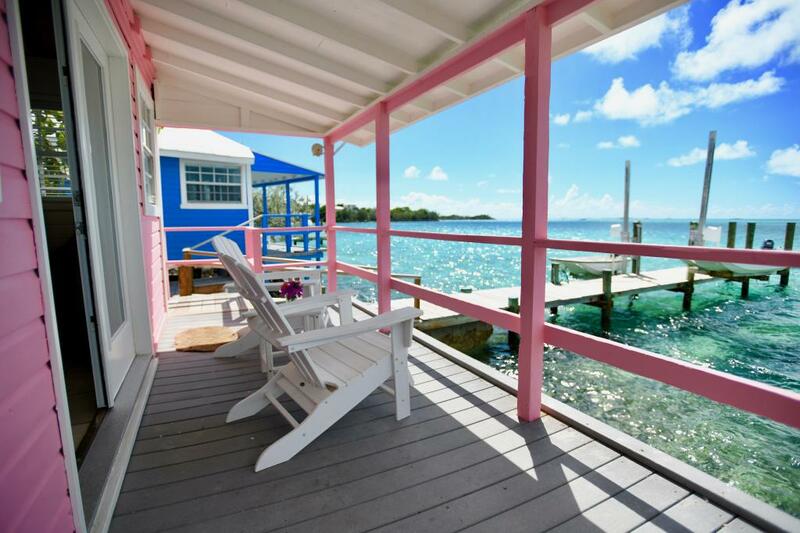 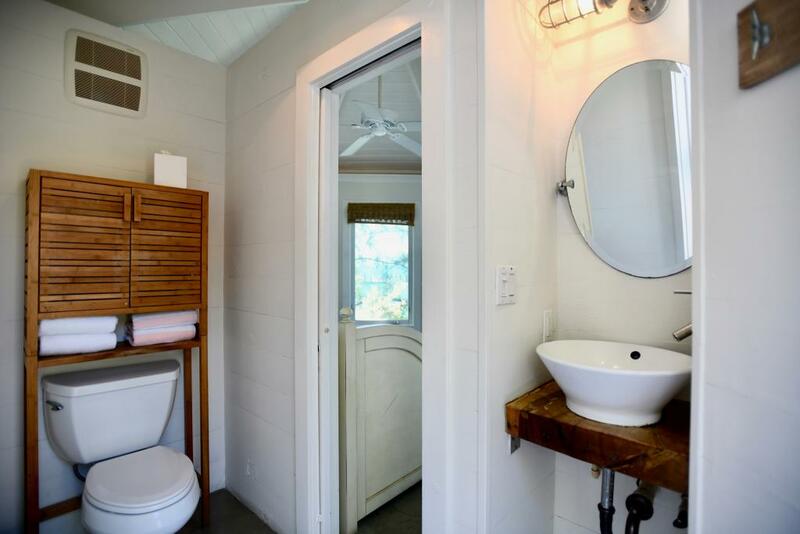 The interior of your bungalow is decorated in relaxing neutrals that complement the colorful exterior that the Staniel Cay Yacht Club cottages are known for! 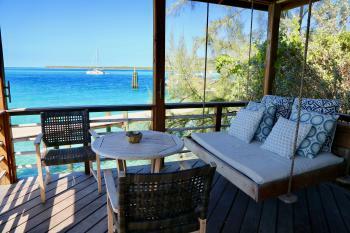 Experience the beauty and tranquility of the Exumas from your cozy bungalow perched just steps above the water! 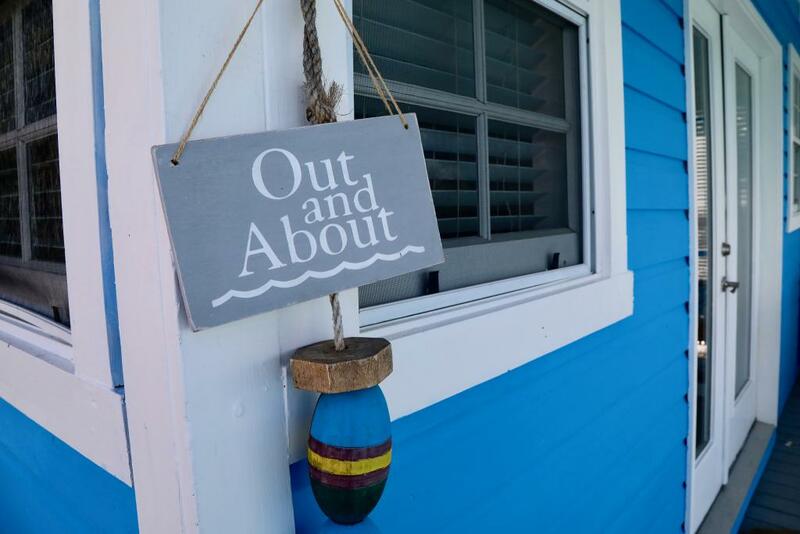 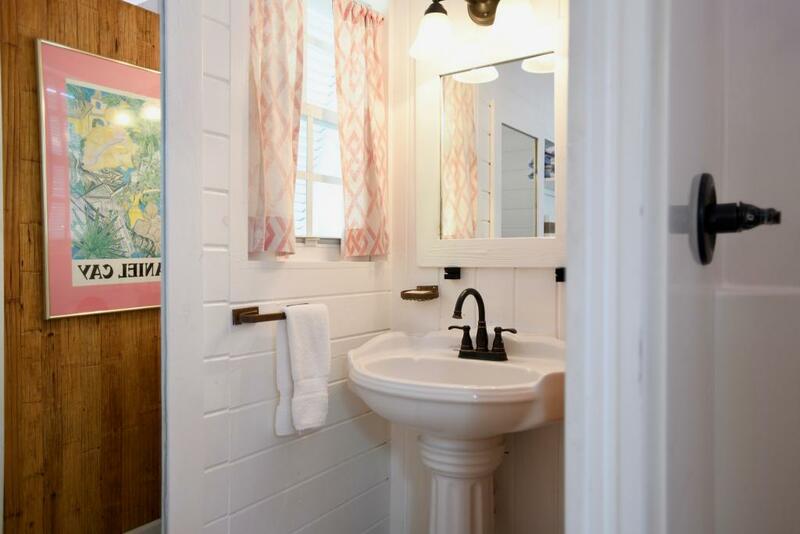 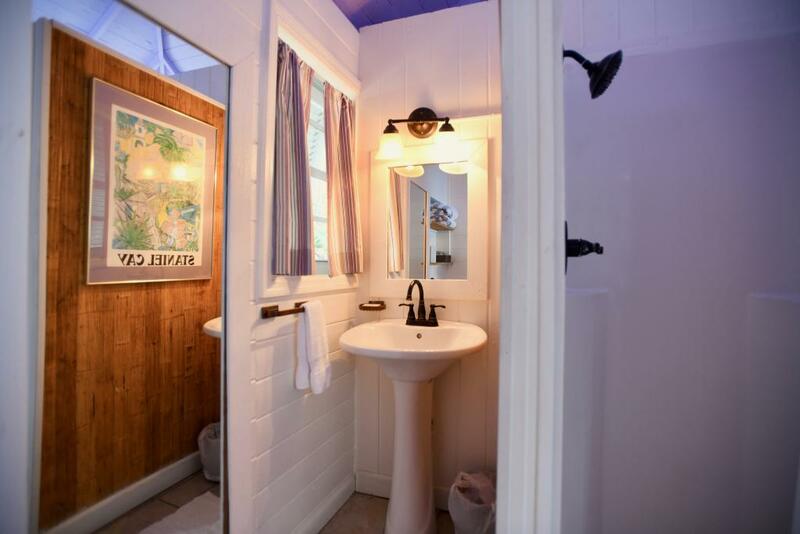 Ideal for a couple, this waterfront cottage boasts a plush king-sized bed, private bathroom with double sinks, a rainfall shower, and a walk-in closet. 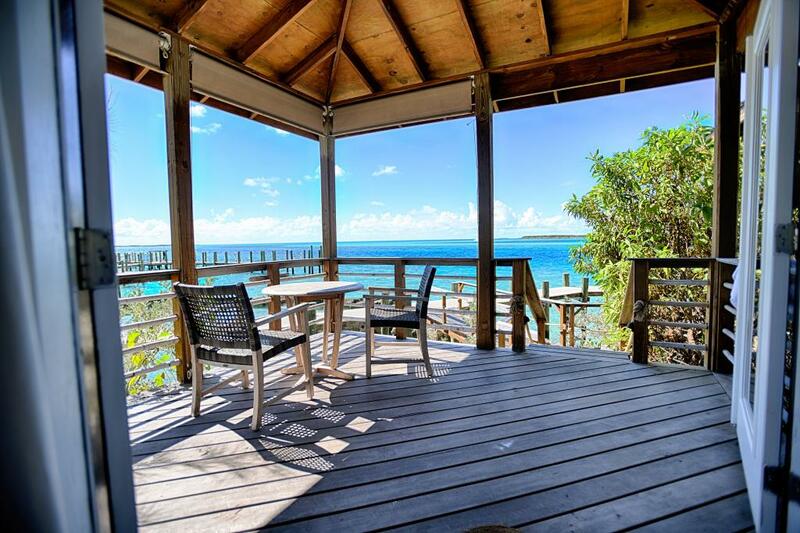 Your large porch invites you to relax and enjoy the breathtaking views of the crystal clear waters and memorable sunsets that Staniel Cay is known for! 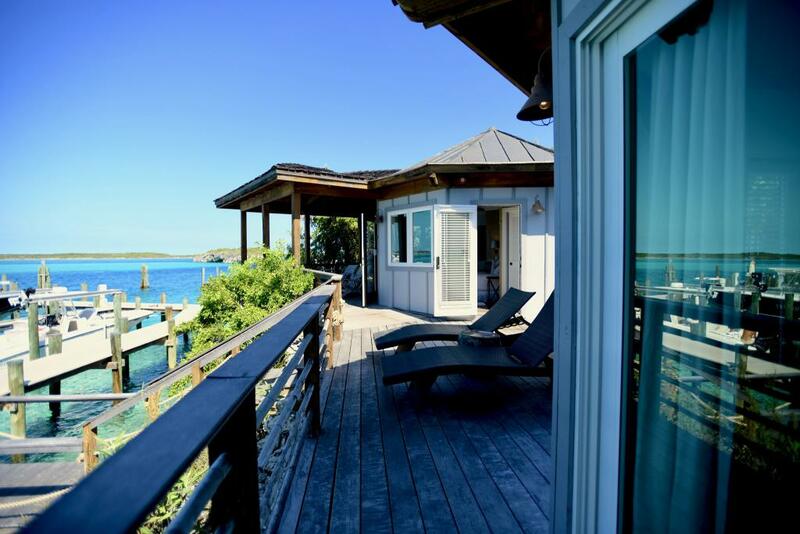 Experience the beauty and tranquility of the Exumas from your cozy bungalow perched just steps above the water! 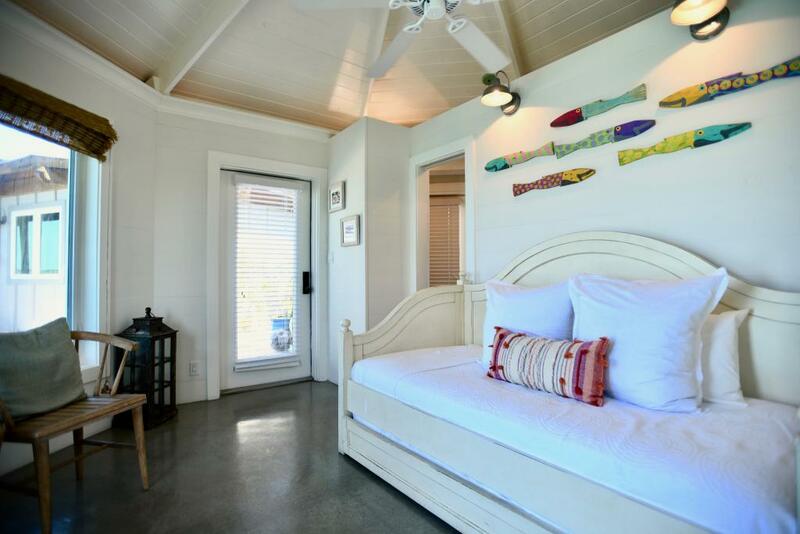 Ideal for a couple, this waterfront cottage boasts a plush king-sized bed, private bathroom with double sinks, and walk-in closet. 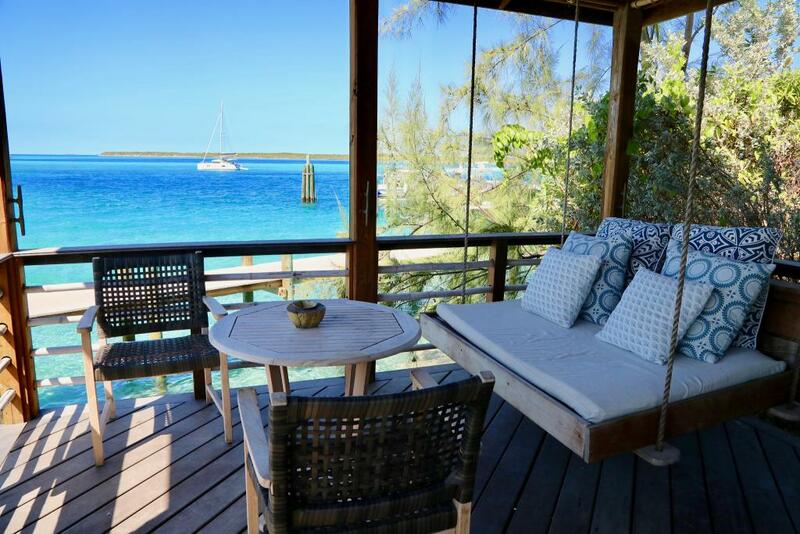 Your large porch invites you to relax and enjoy the breathtaking views of the crystal clear waters and memorable sunsets that Staniel Cay is known for! 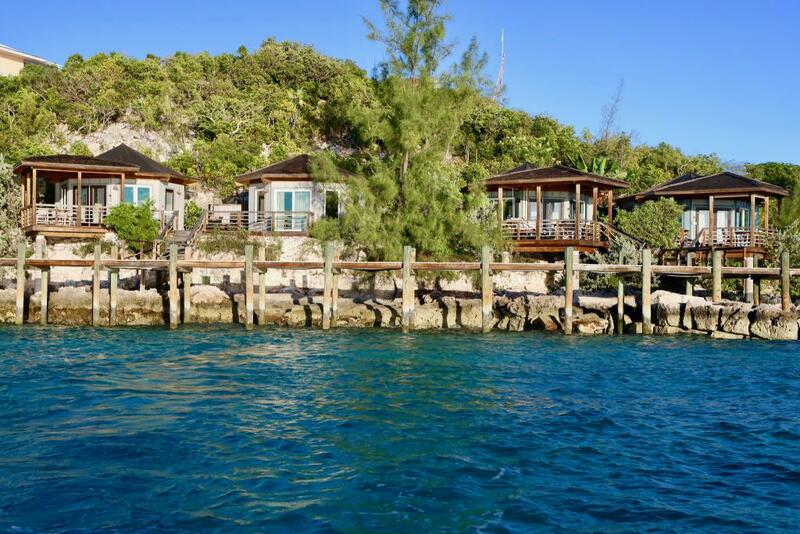 Wake up to breathtaking views of the tranquil turquoise waters of Staniel Cay! 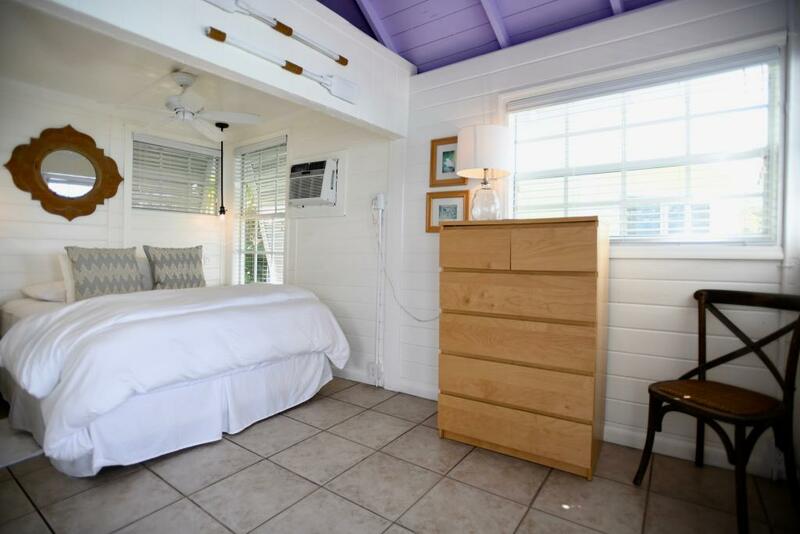 This single-story bungalow is ideal for couples, having one bedroom with a queen size bed and private bathroom. 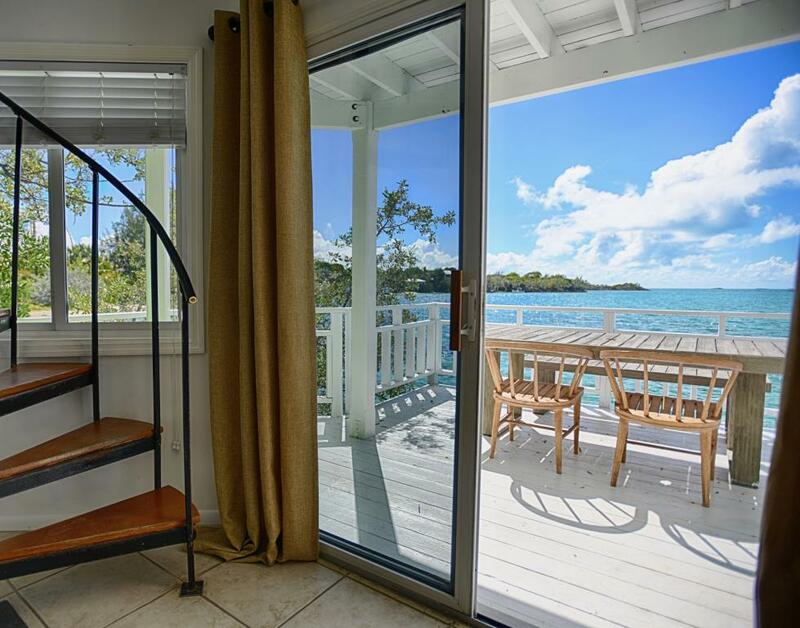 Your balcony overhangs the crystal clear waters and faces west for views of the most beautiful sunsets. 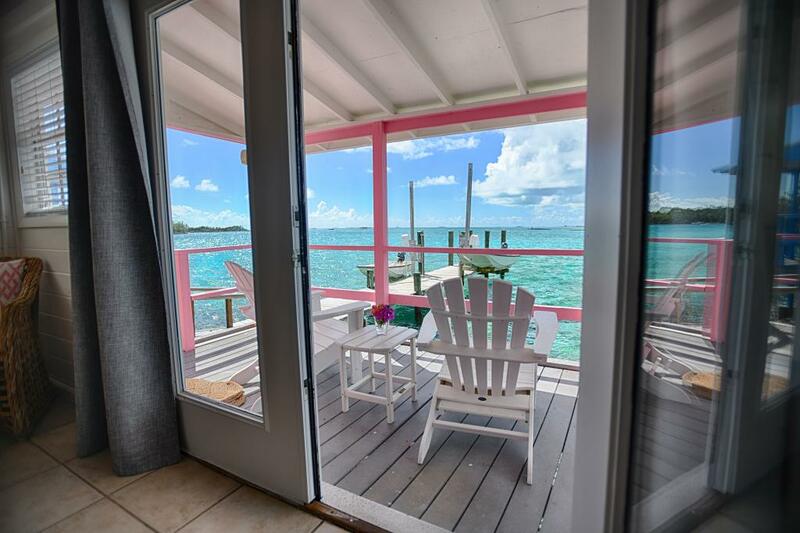 The interior of your bungalow is decorated in relaxing neutrals that complement the colorful exterior that the Staniel Cay Yacht Club cottages are known for! 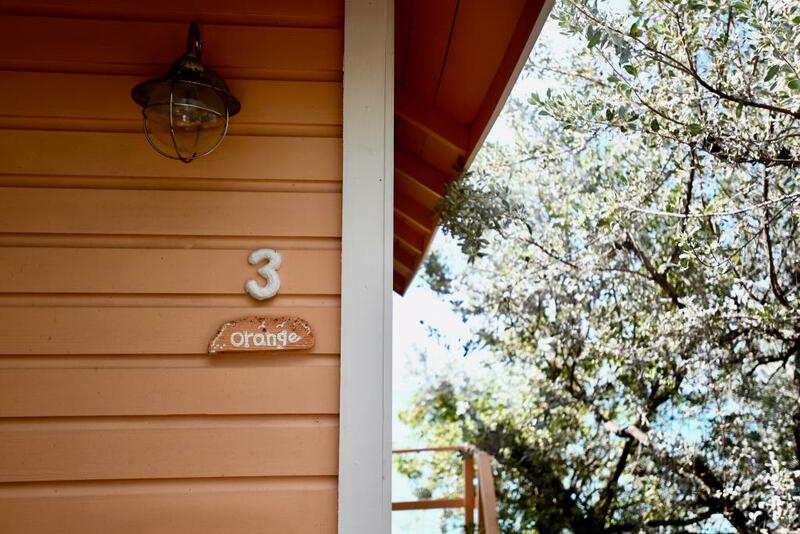 Please note: Taxes are not included in above rates and will be collected at checkout. 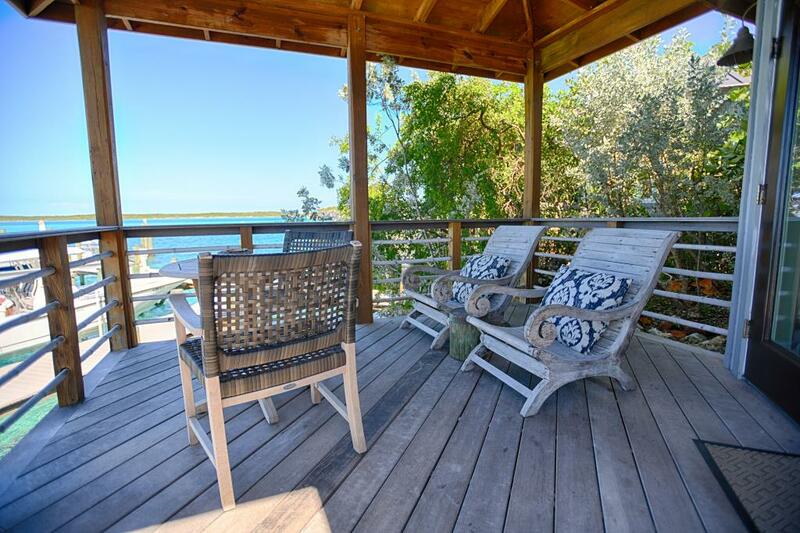 This single-story bungalow is unique with an octagonal shape and a south-facing, waterside back-deck nestled among the buttonwood trees to enjoy your morning coffee! 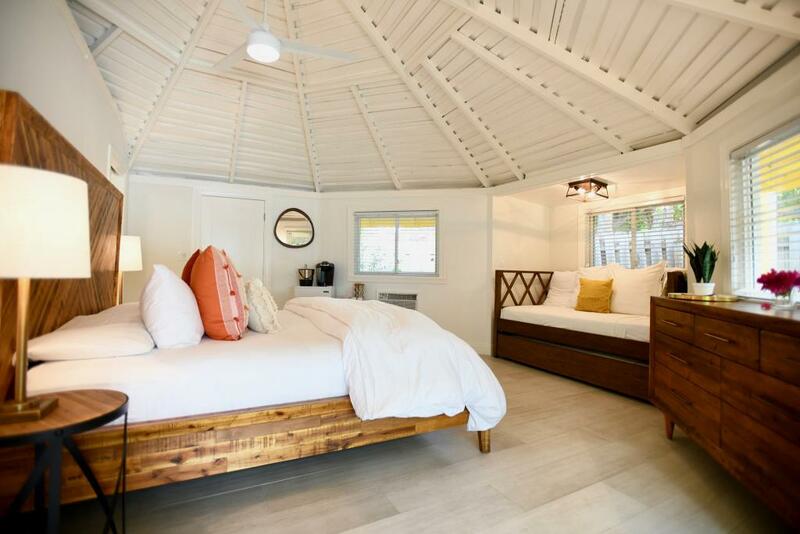 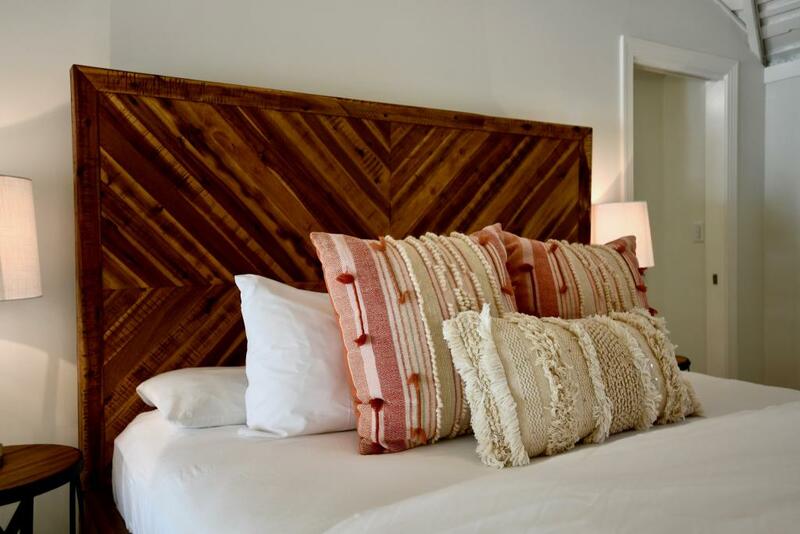 With a plush king bed, as well as a classic daybed with accompanying trundle bed, this bungalow comfortably sleeps up to four guests. 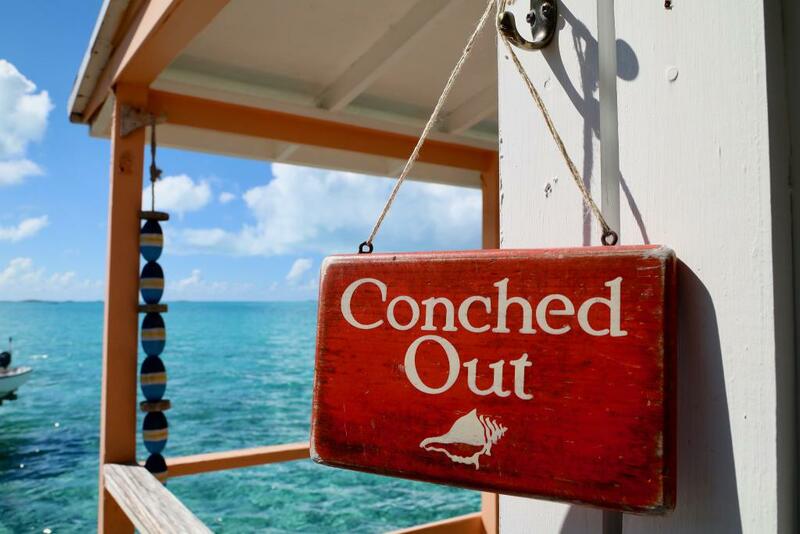 Please note: Taxes are not included in above rates and will be collected at checkout. 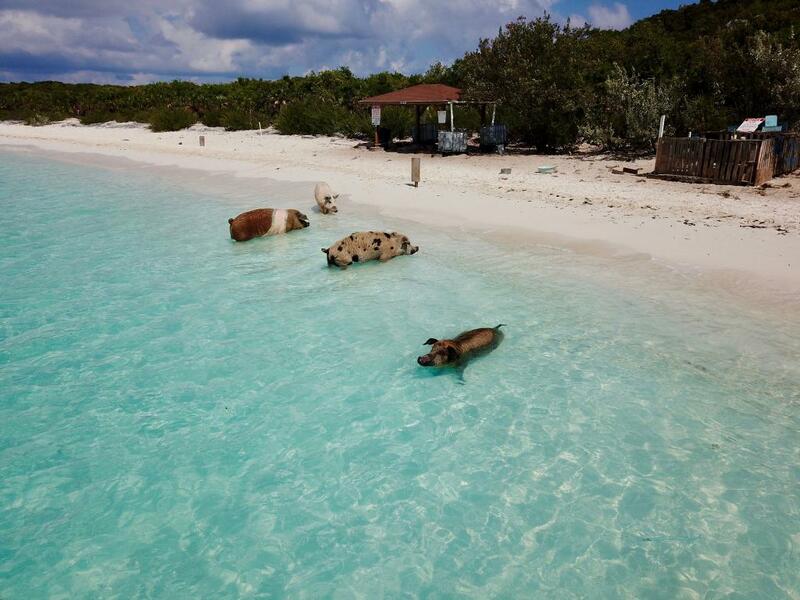 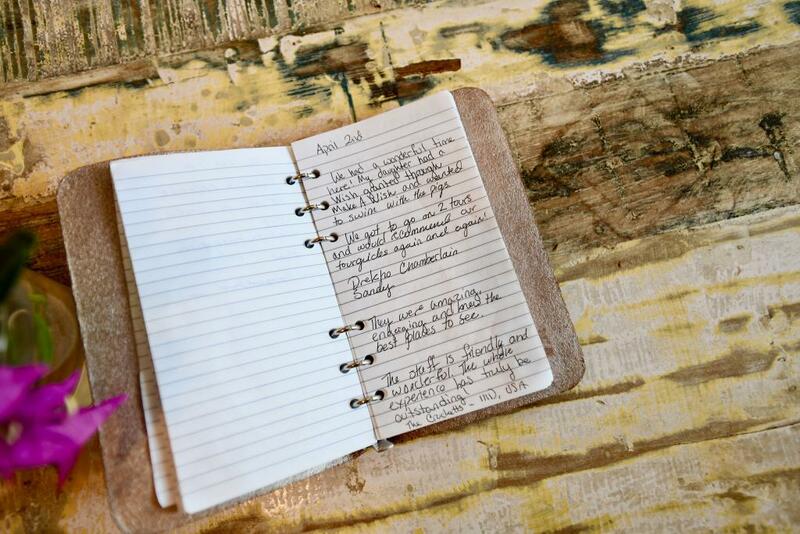 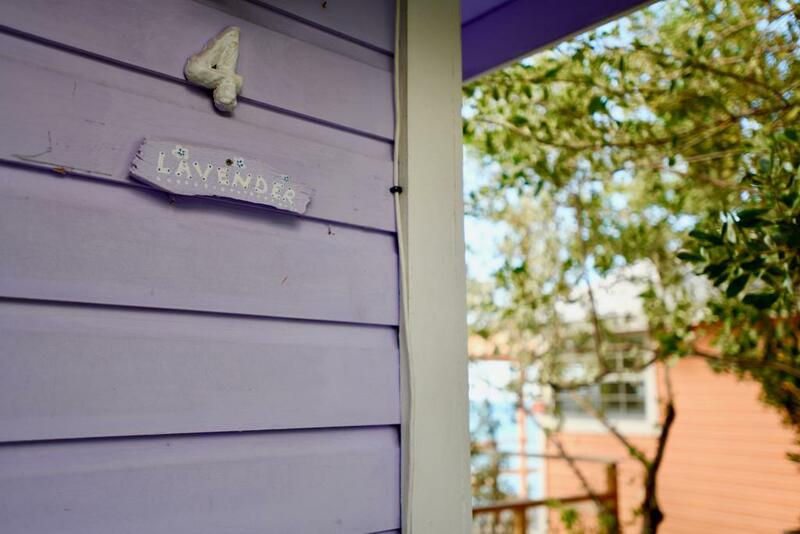 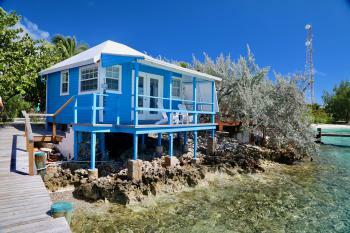 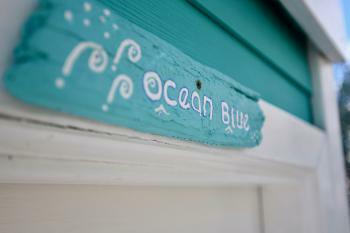 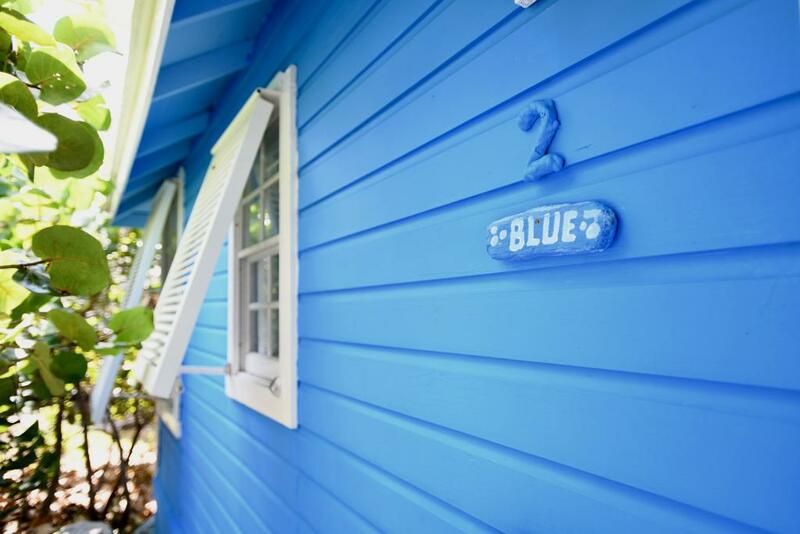 Come stay with us and make one of our bungalows your home while on Staniel Cay. 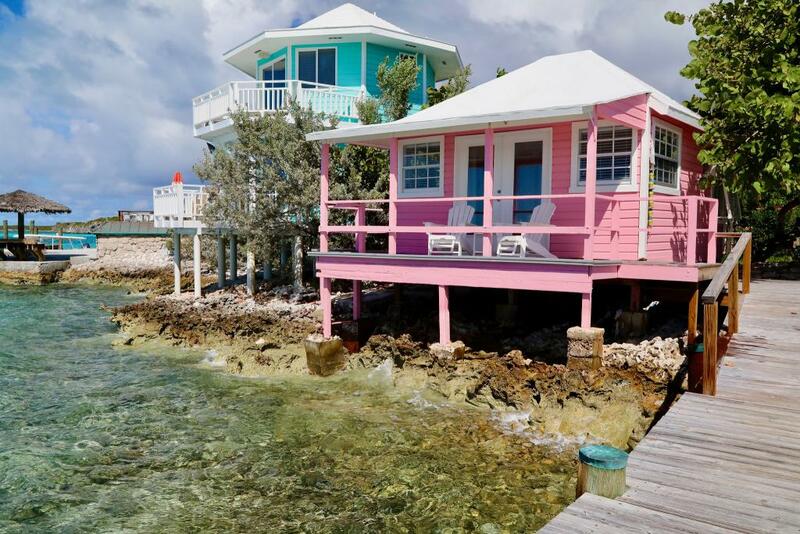 Sip an island cocktail and watch the gorgeous Bahamian sunsets from the comfort of your private porch while nurse sharks and rays glide through the waters below you. 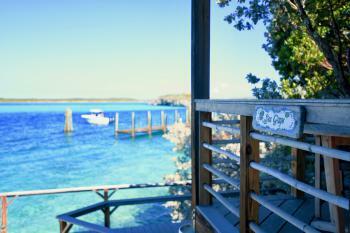 Explore crystal-clear waters, pristine reefs, deserted islands and white-sand beaches with your own skiff. 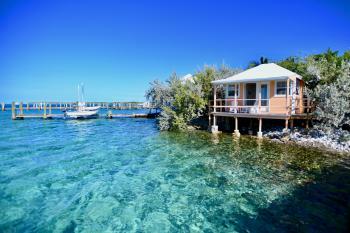 The many secluded beaches, coves and isles surrounding Staniel Cay are a perfect setting for numerous activities. 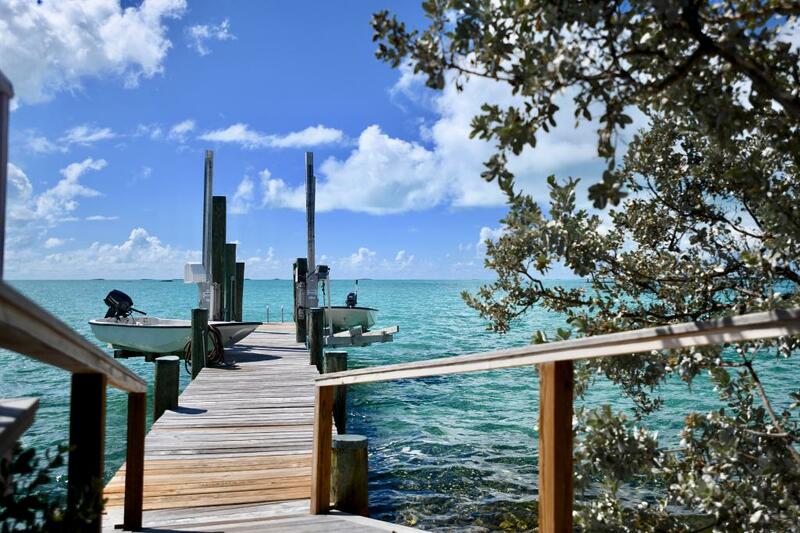 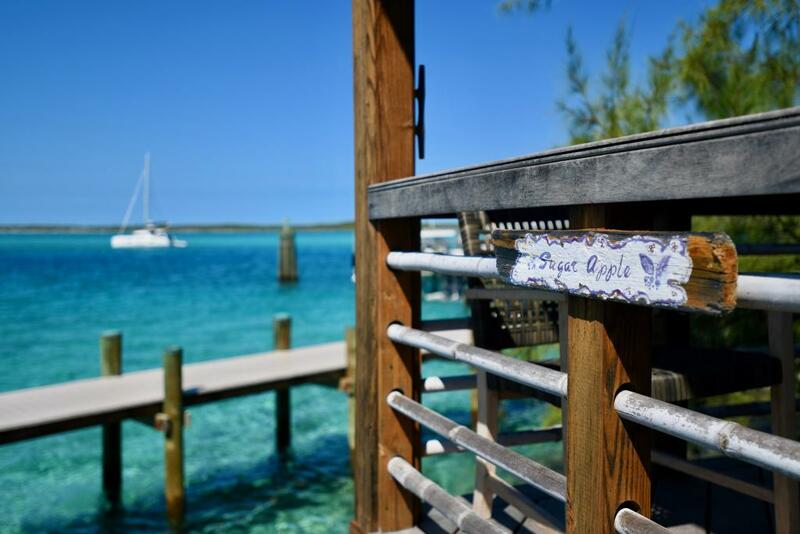 At the Staniel Cay Yacht Club, we can provide you with everything you’ll need (including a picnic lunch) to enjoy a day filled with relaxation or excitement – or maybe a little of both!